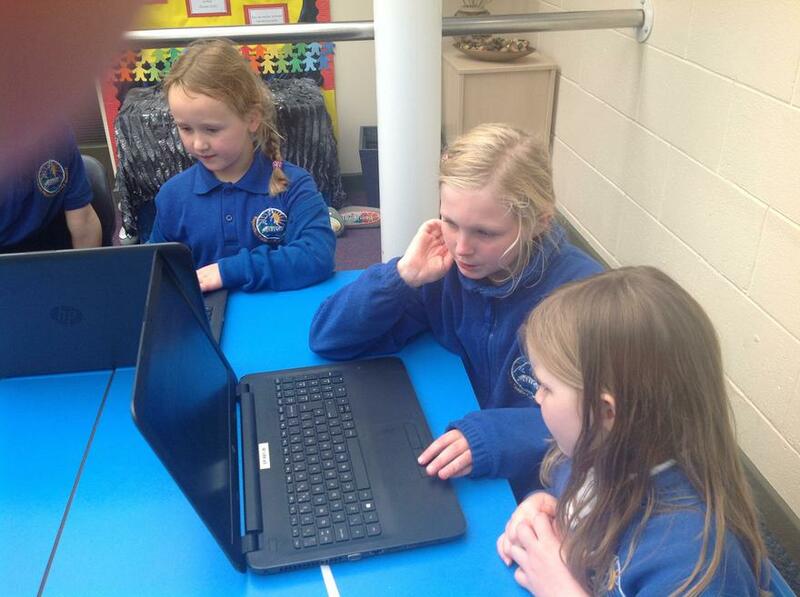 Year 3 children Skyped our friends in India today. 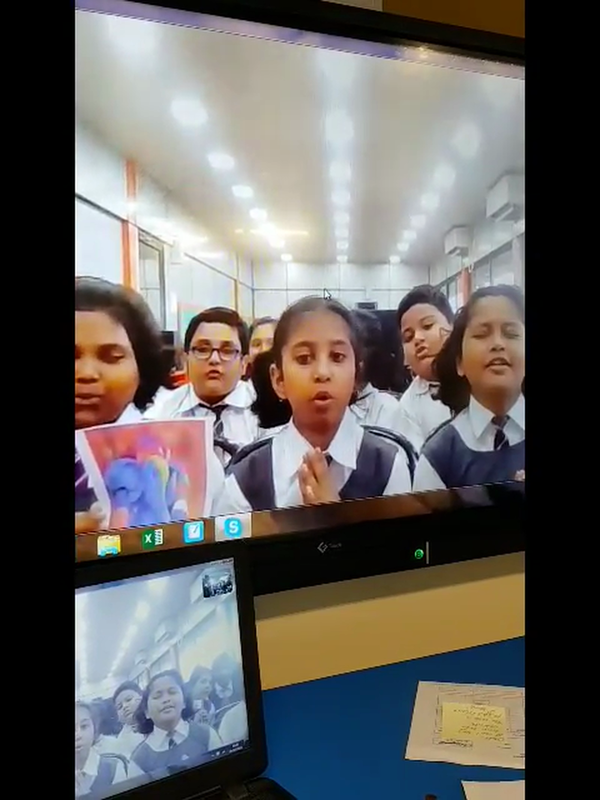 We have been linked with this school for about 8 months and our children have written to the children in India and have received letters back. 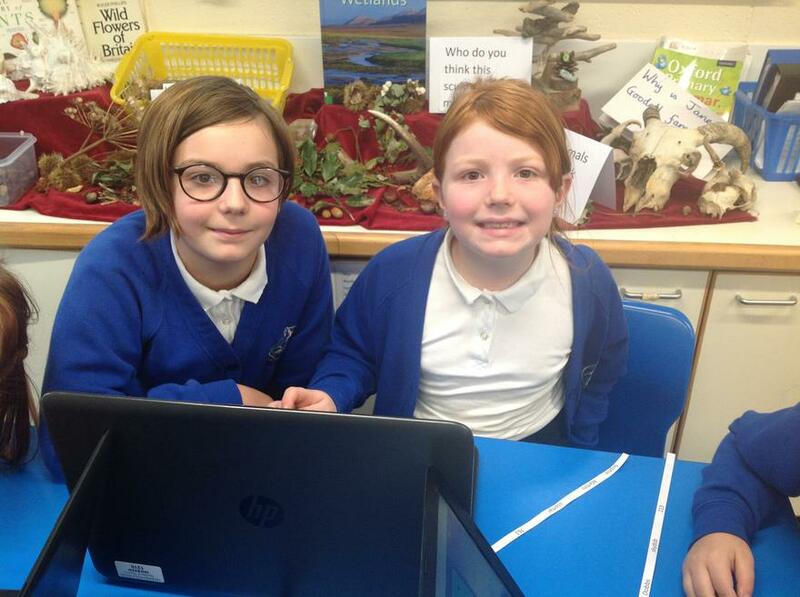 We shared our learning and are amazed at the new experiences this school is giving us. 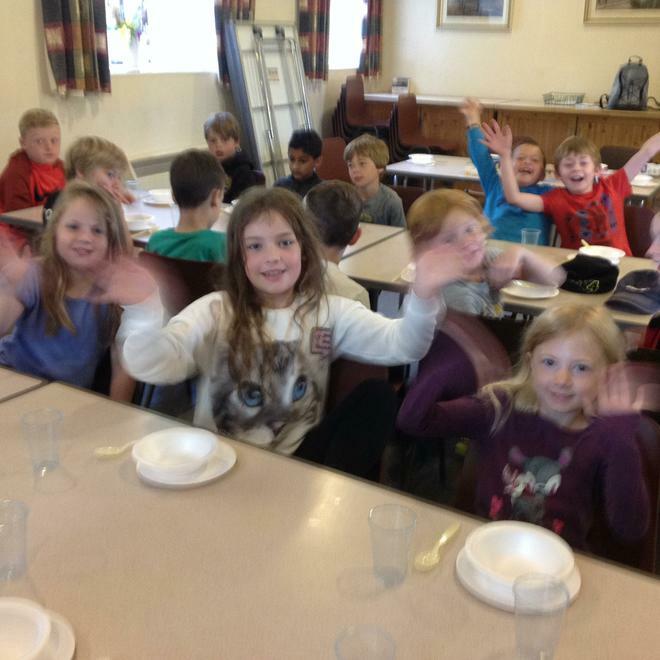 They prepared a wonderful prayer for us today and then talked about their harvest festival celebrations and lots of important Indian symbols. 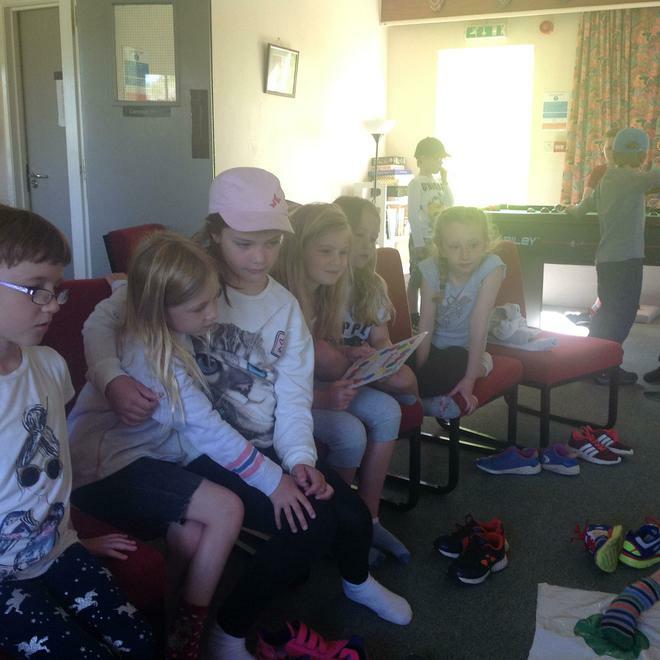 We loved speaking to them, we also shared our harvest preparations and the lovely things we are doing for the elderly in our community. 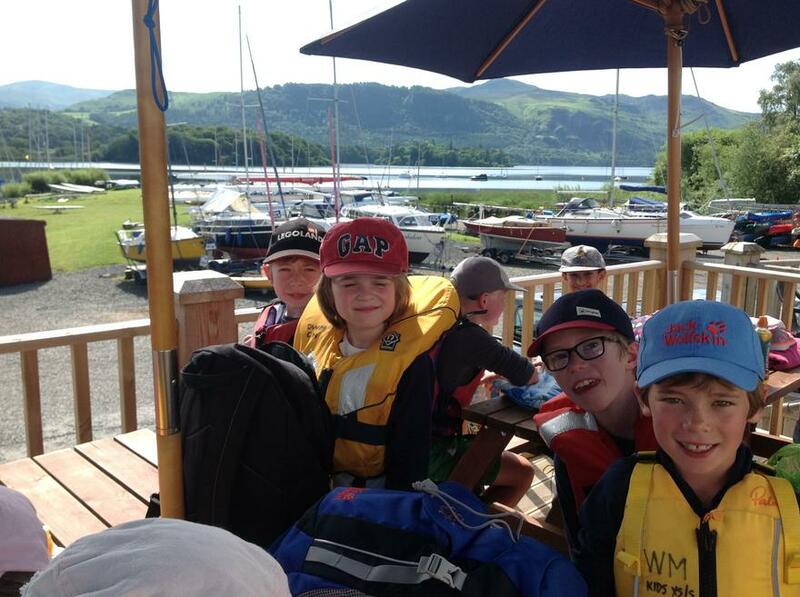 We also showed them pictures and shared our writing of our Viking boat trip to Derwentwater. 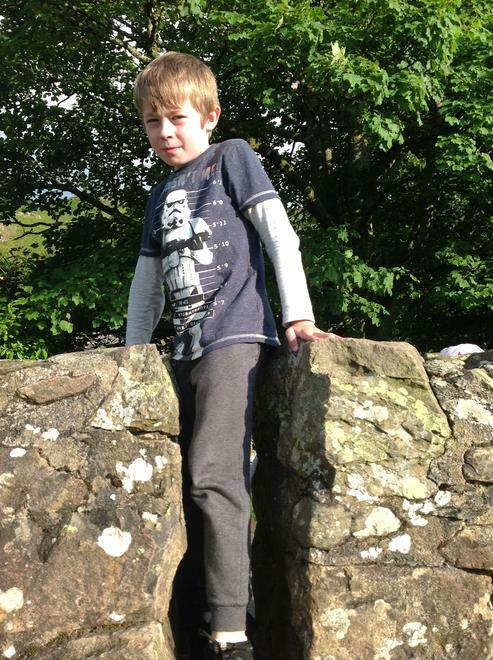 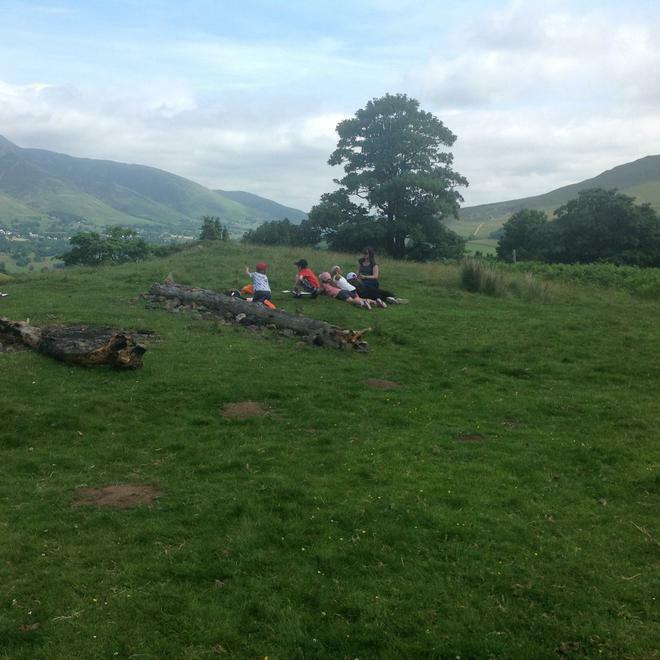 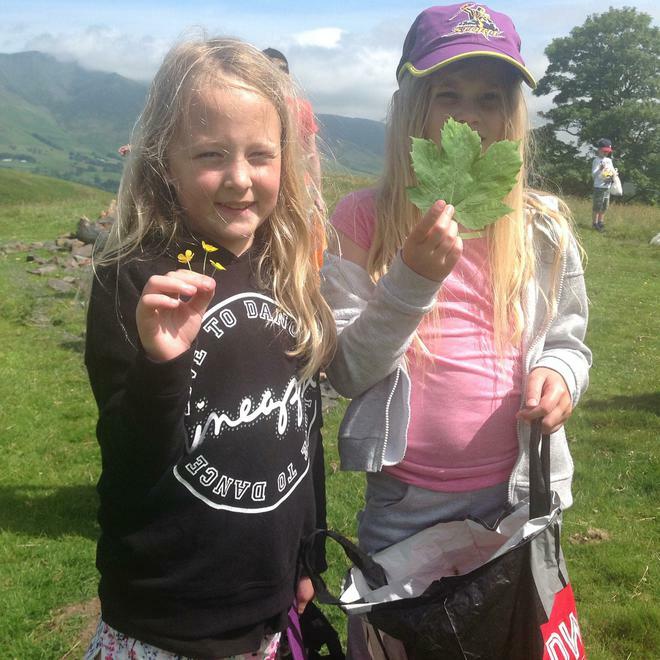 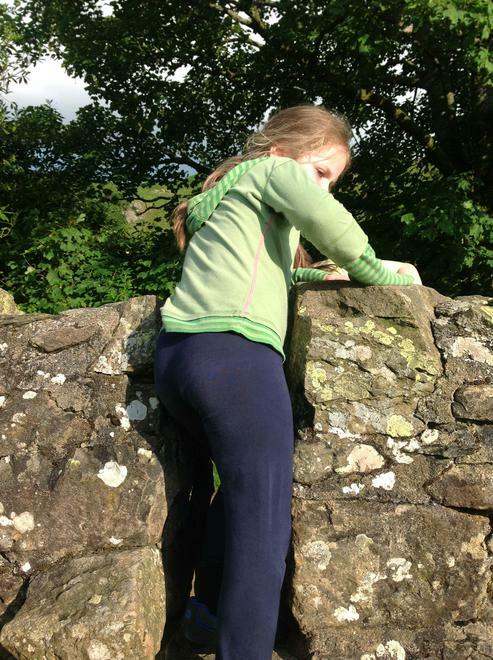 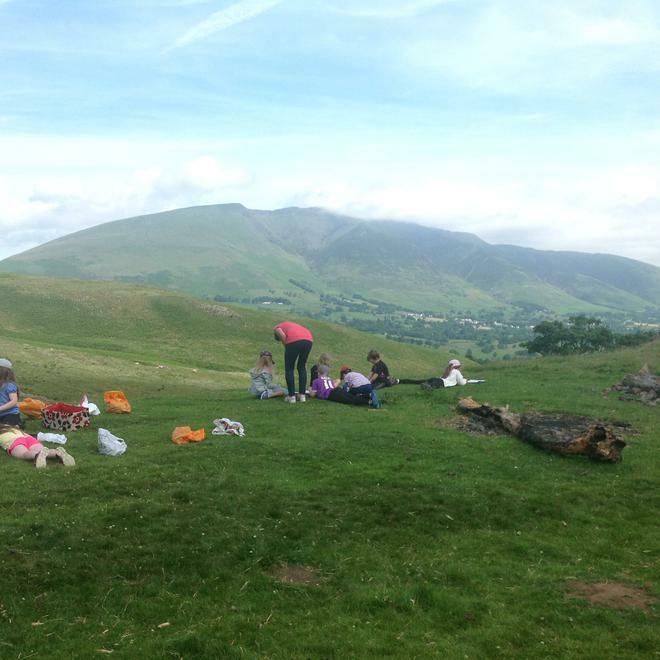 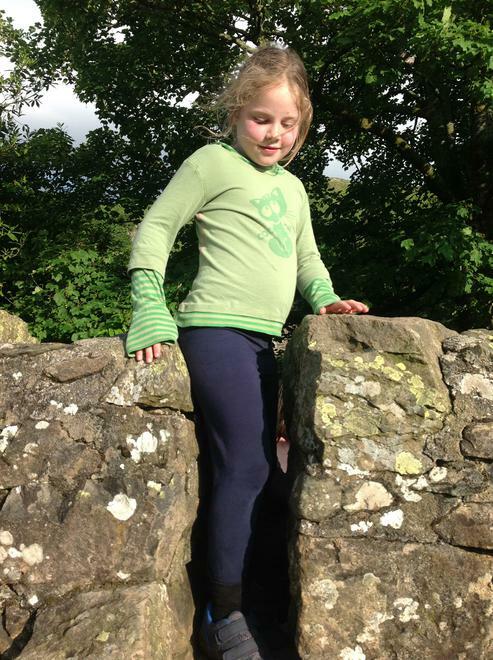 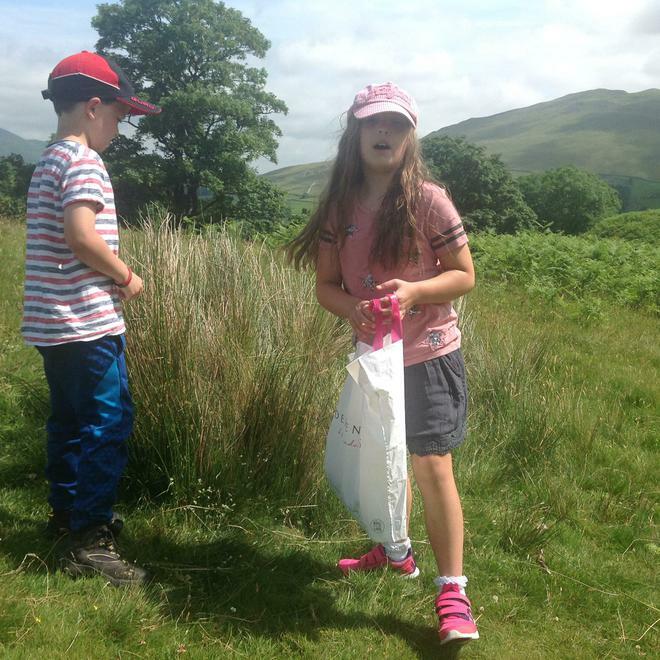 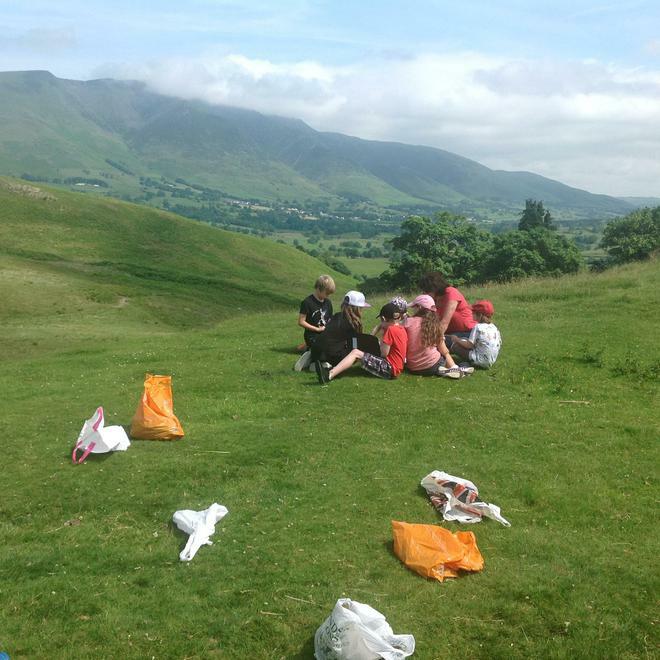 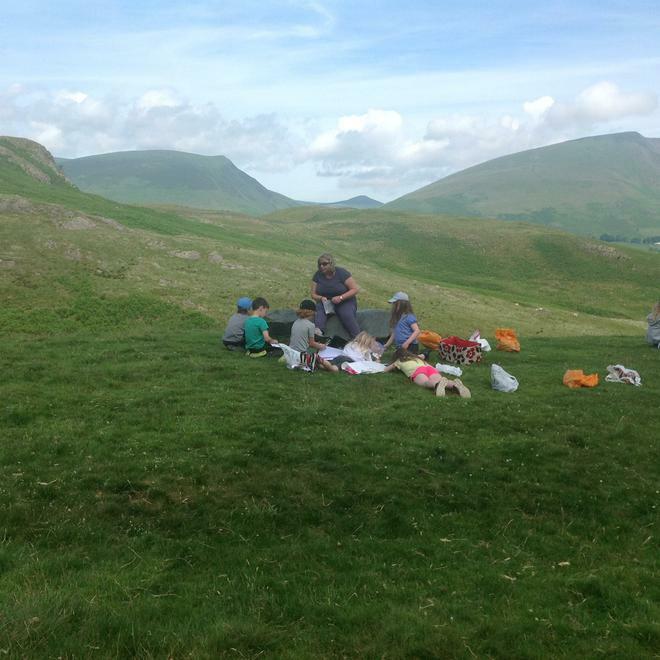 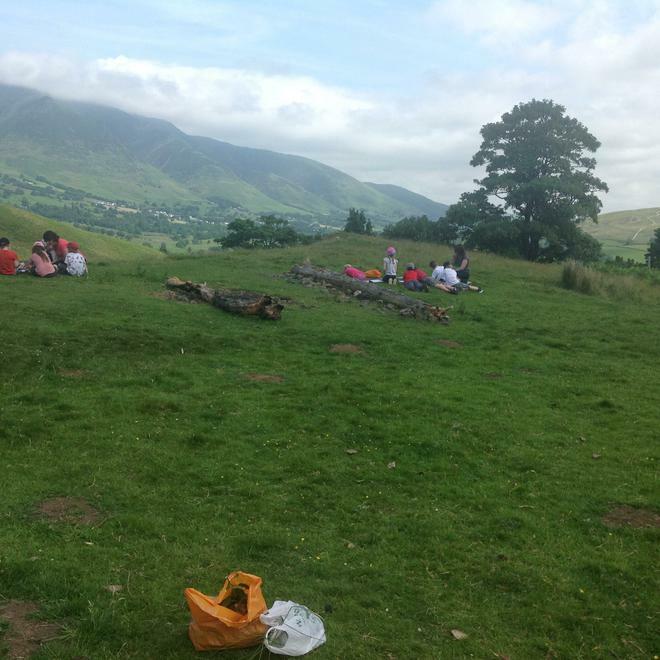 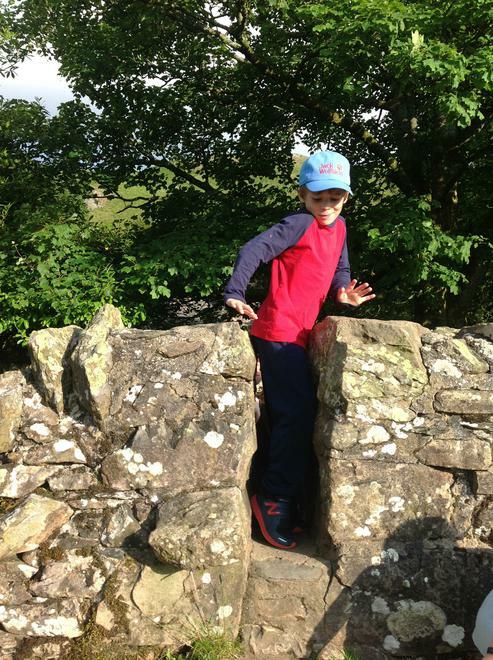 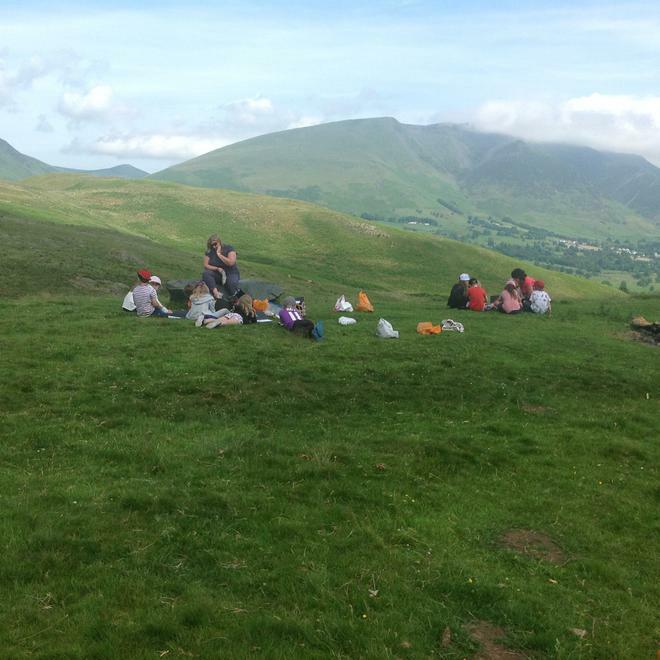 They were surprised at the wonderful scenery in Cumbria as they live in a very busy city. 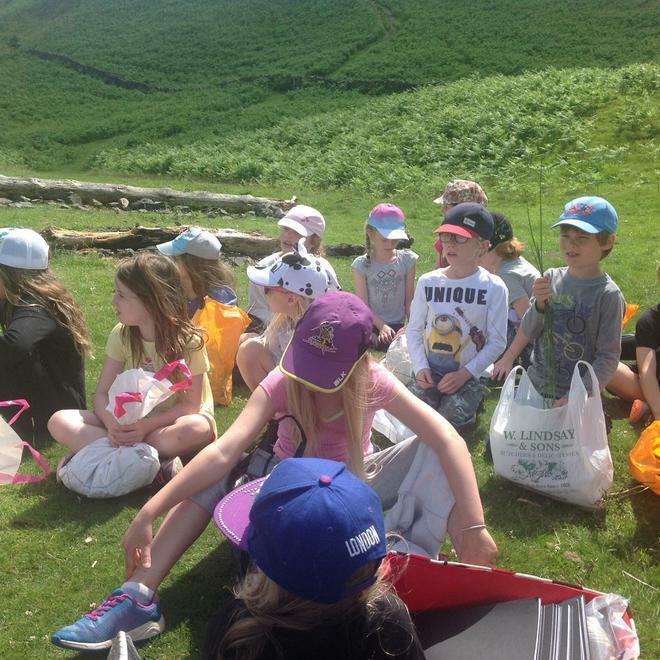 Year 3 had an amazing day living the life of a Viking. 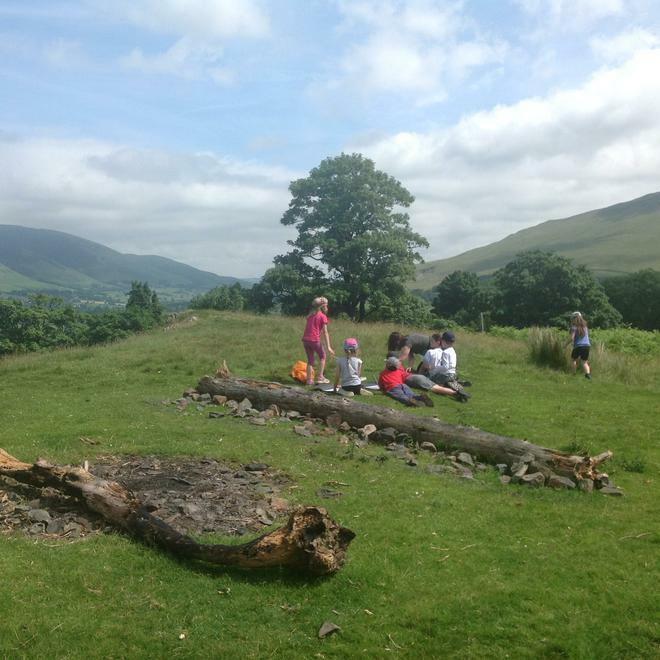 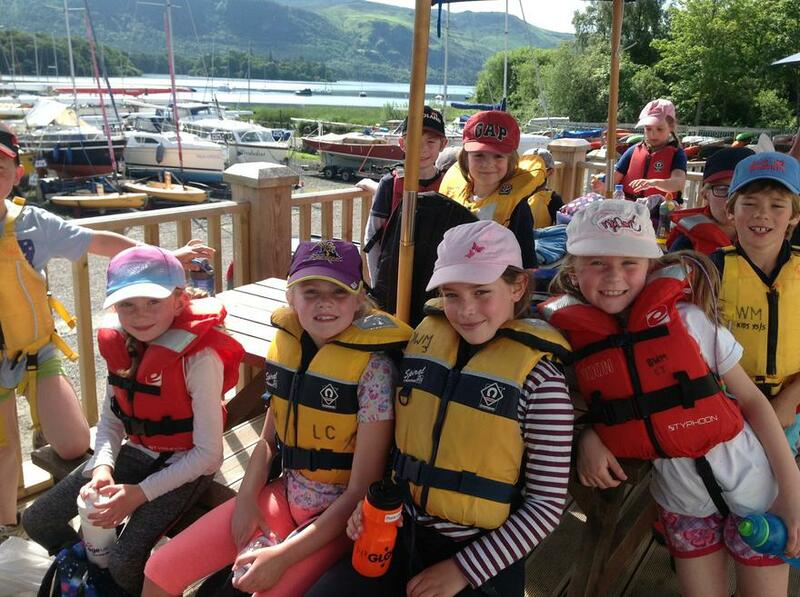 We had the chance to sail and row a Viking longboat and listen to stories about how Vikings settled and lived in Cumbria. 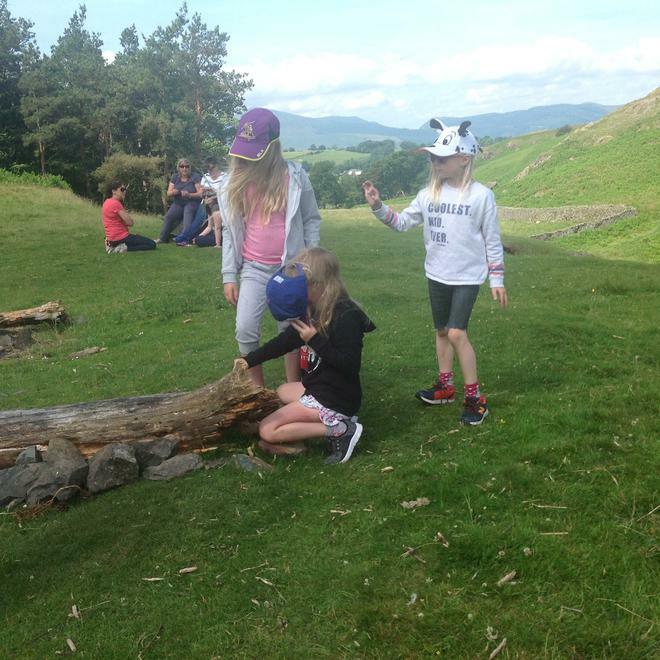 We also spent time with the Viking slaves starting fires, preparing shields, trying on Helmets and holding Viking swords. 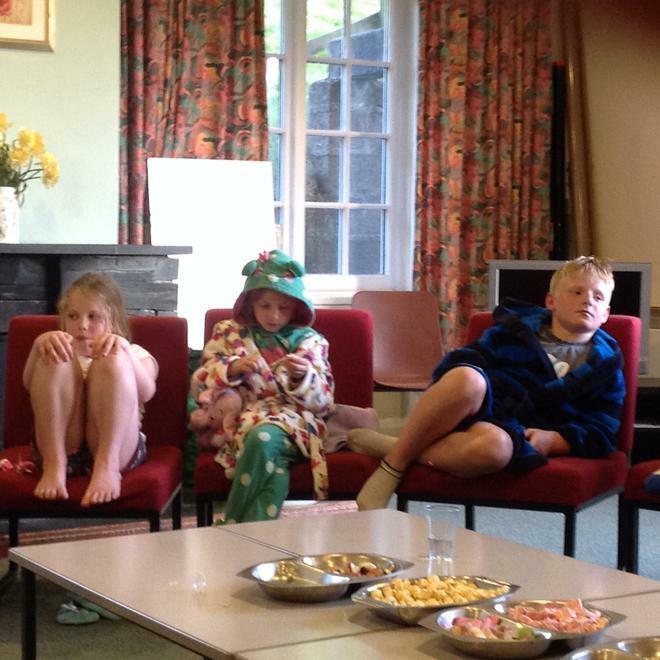 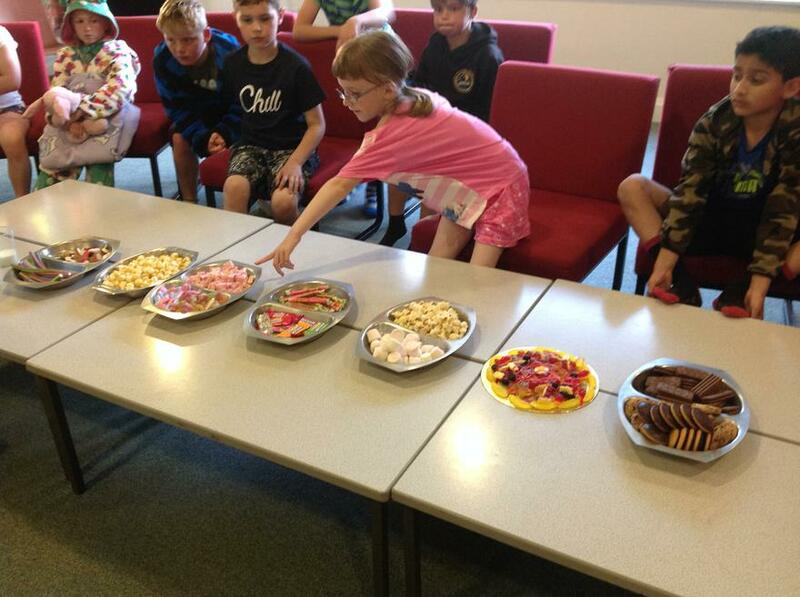 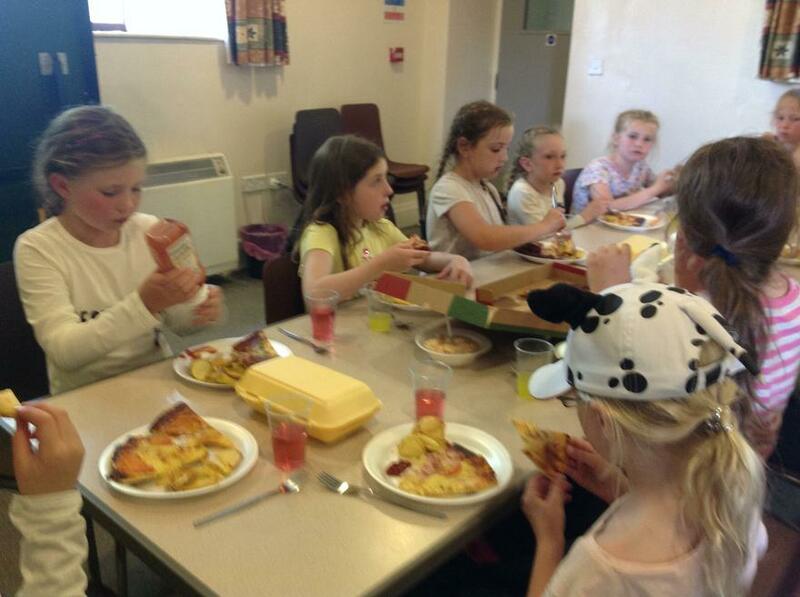 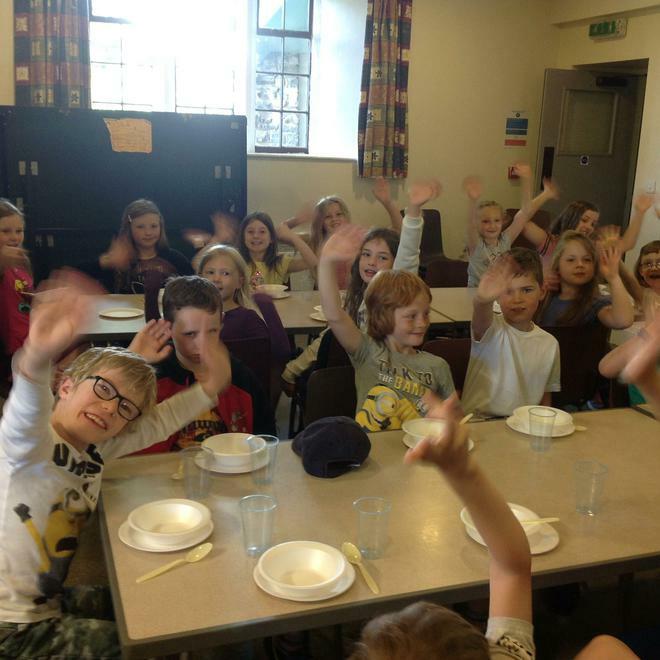 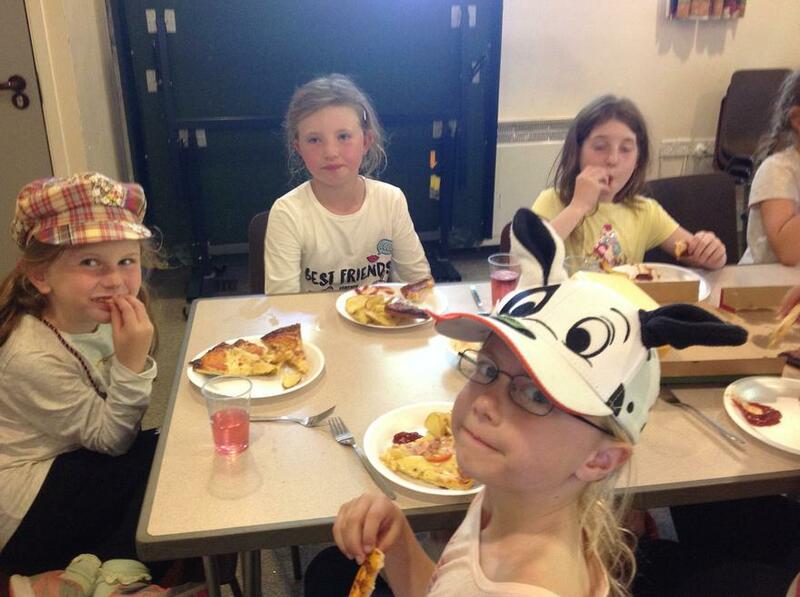 Sarah showed us what life would be like living in the camp and preparing food for everyone. 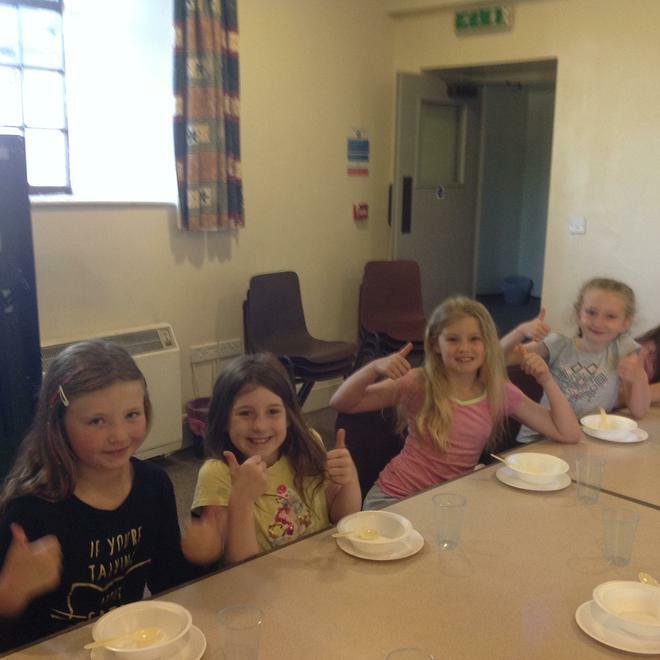 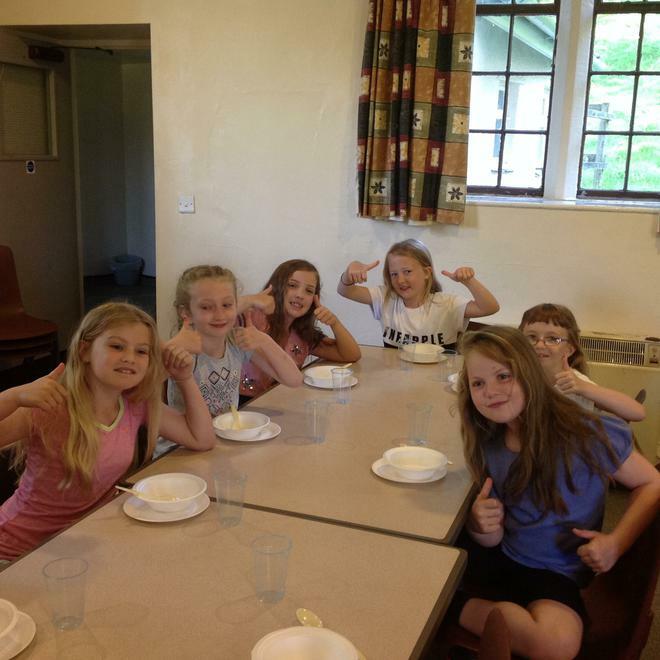 We had the chance to sample the oat cakes we prepared. 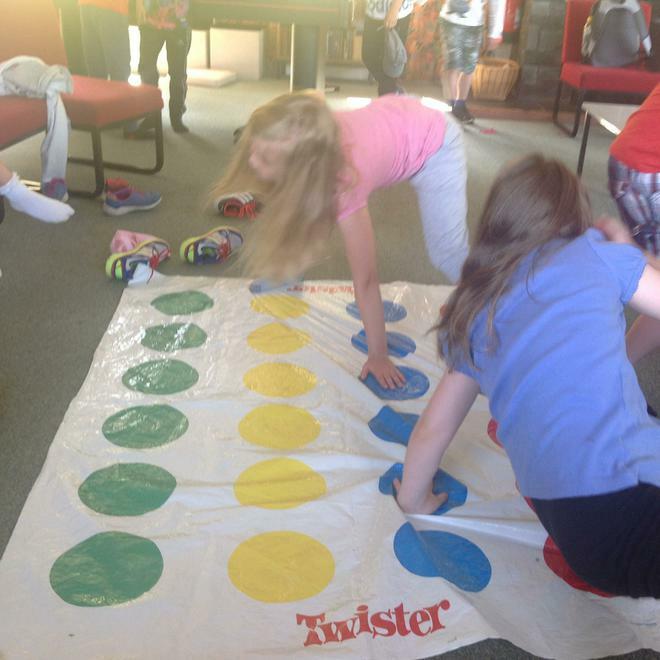 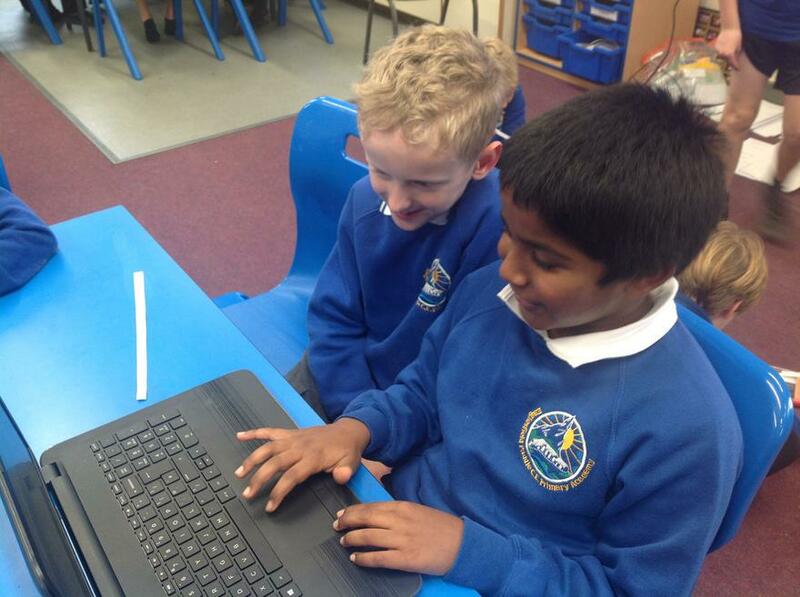 Year 3 have been working hard all day with maths activities and games. 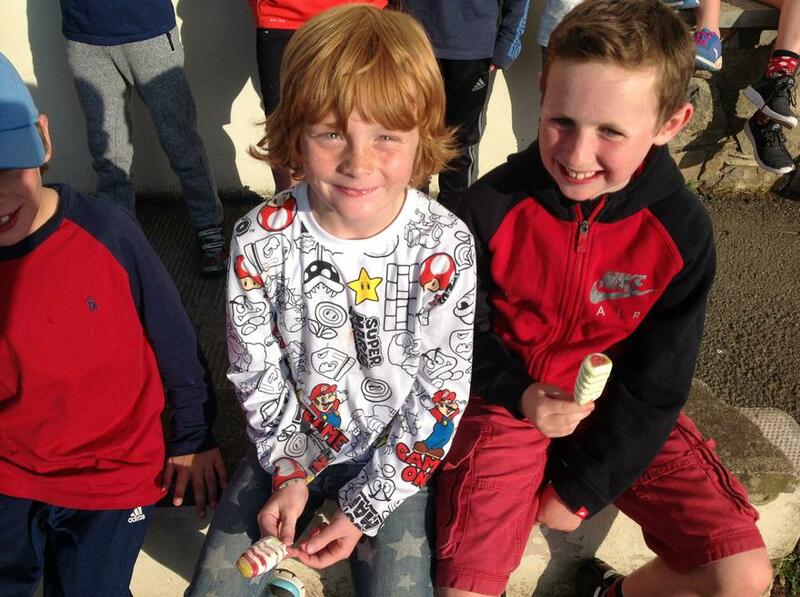 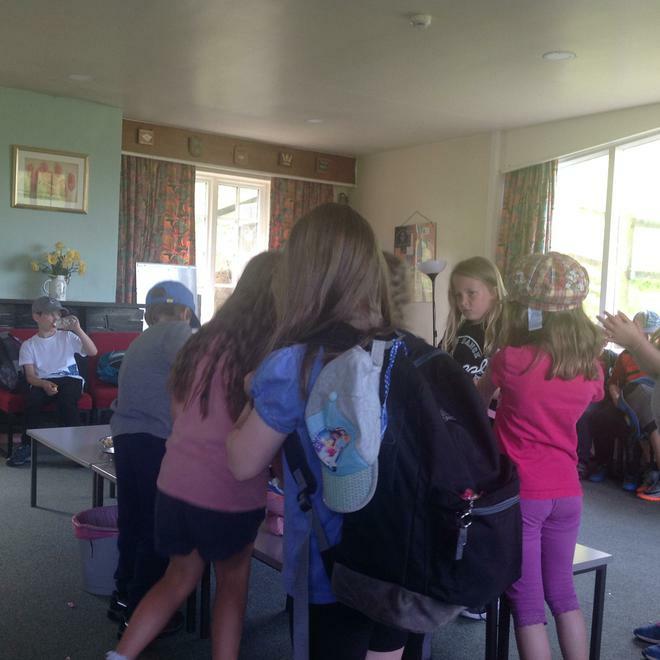 They worked in pairs as detectives to solve the mystery of the stolen sports trophy, this involved working out maths clues to crack the code and catch the thief. 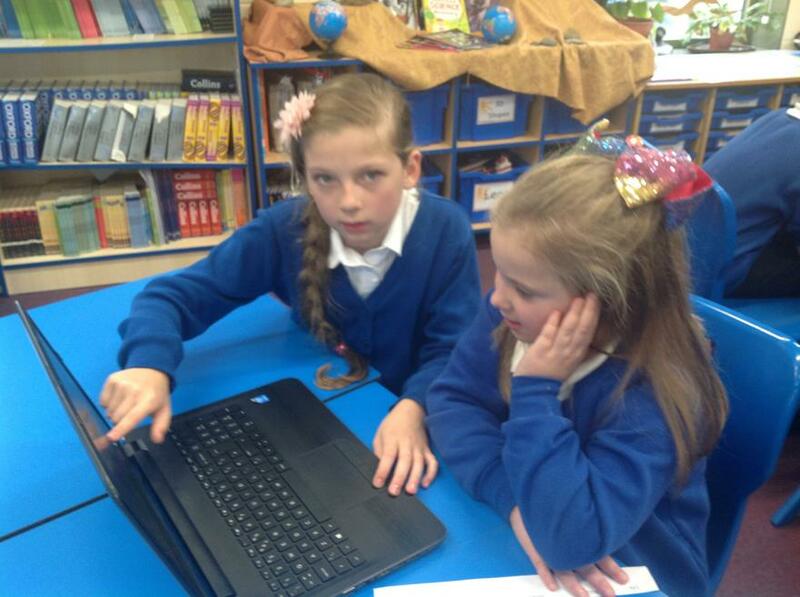 We have some wonderful detectives in Year 3 . 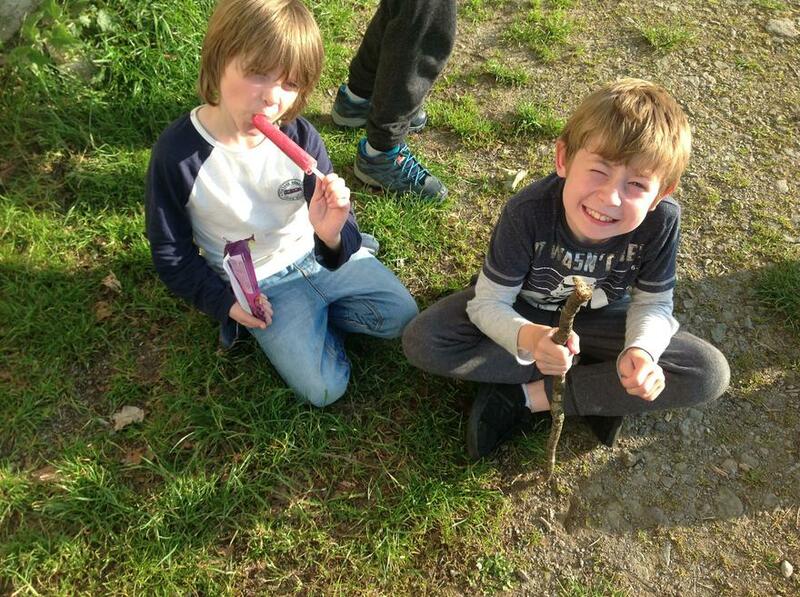 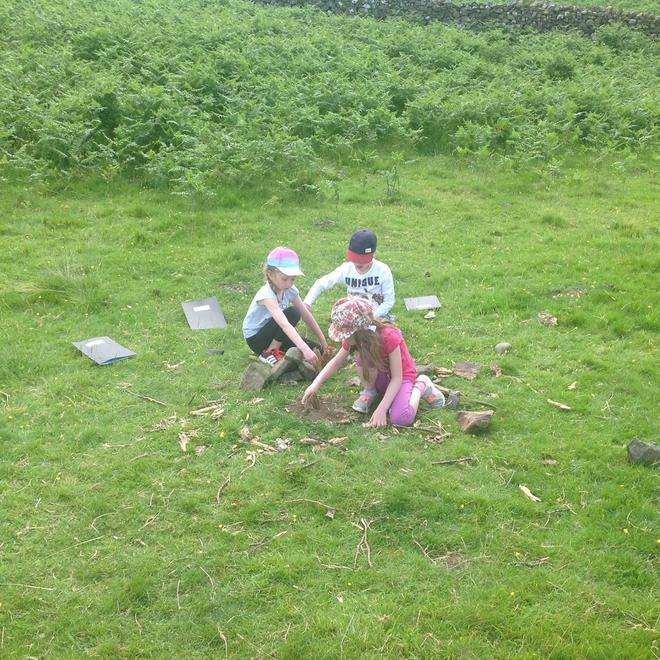 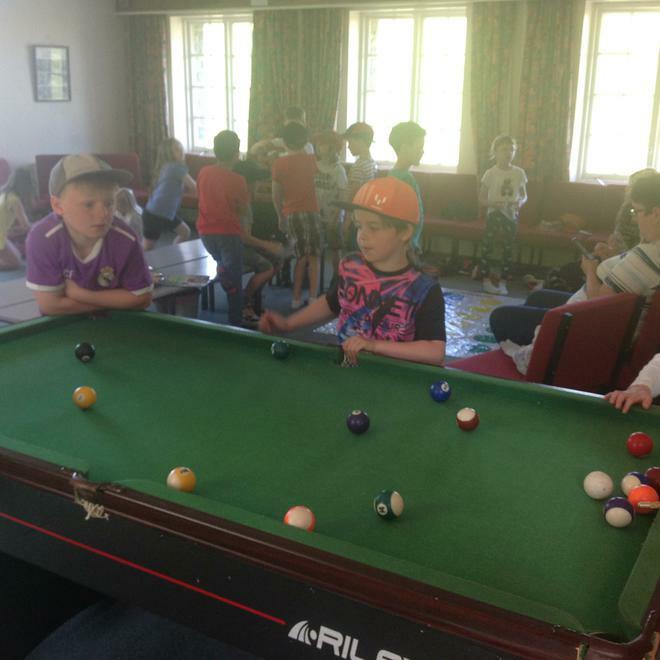 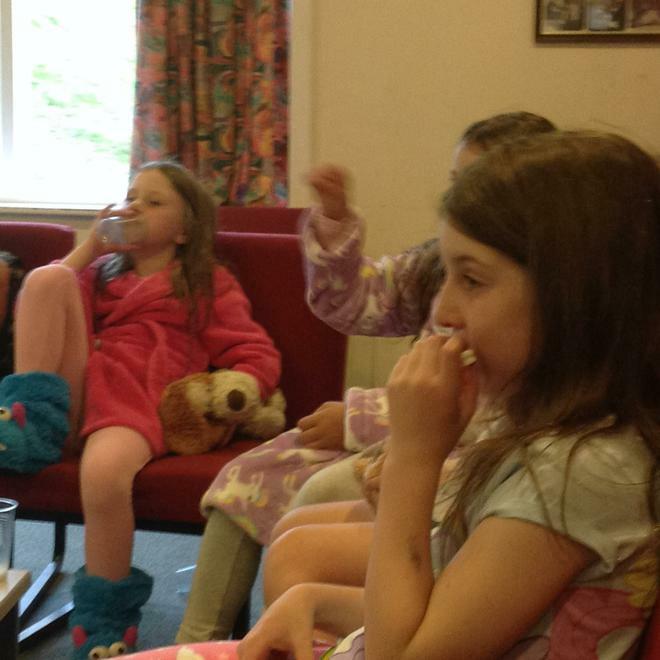 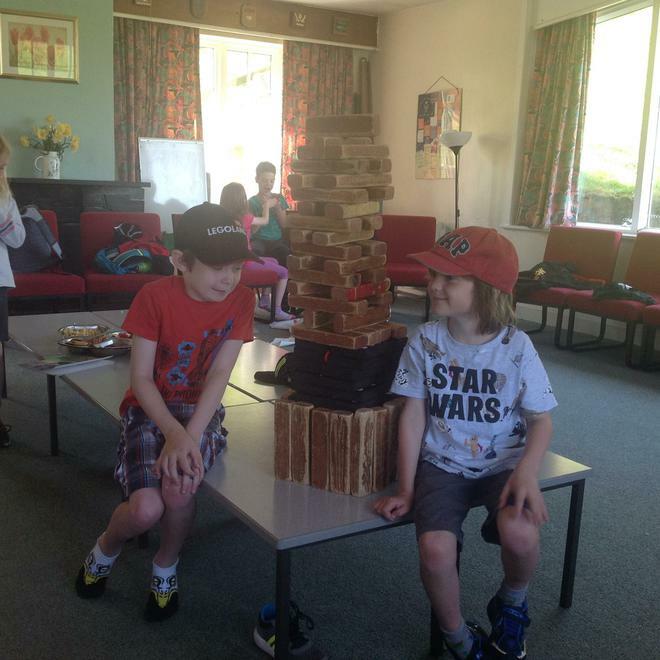 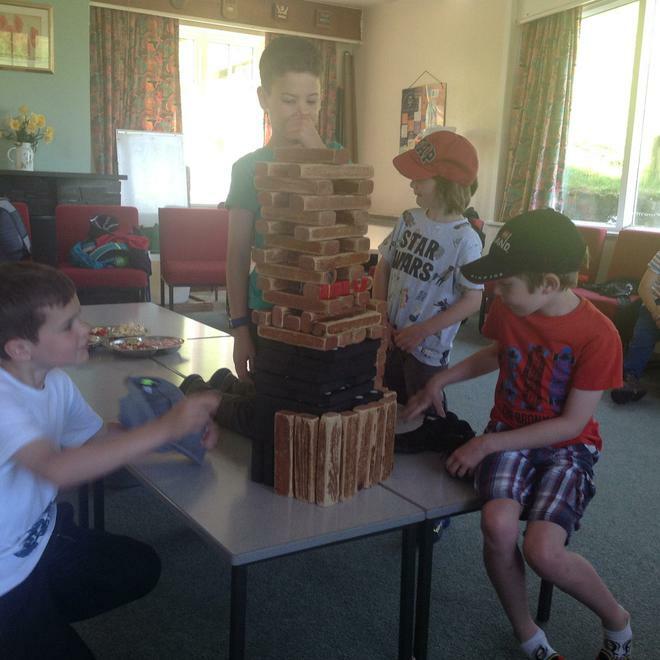 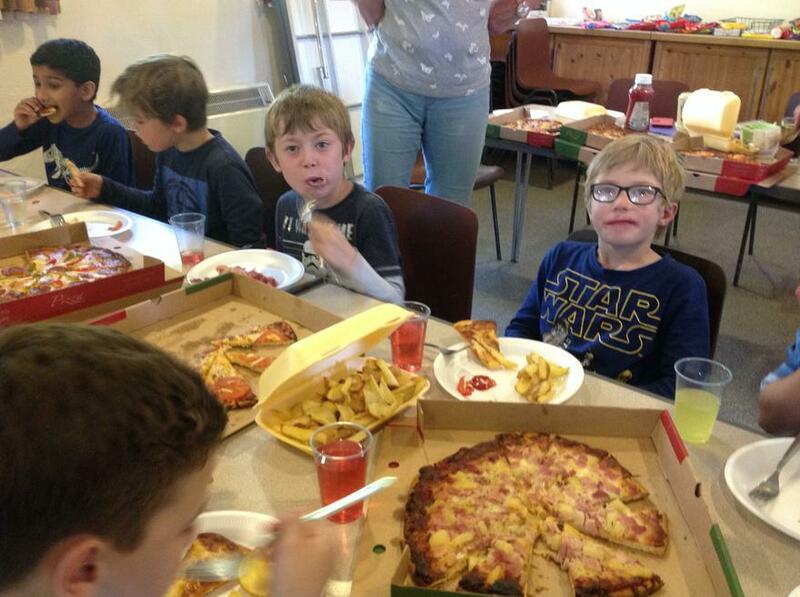 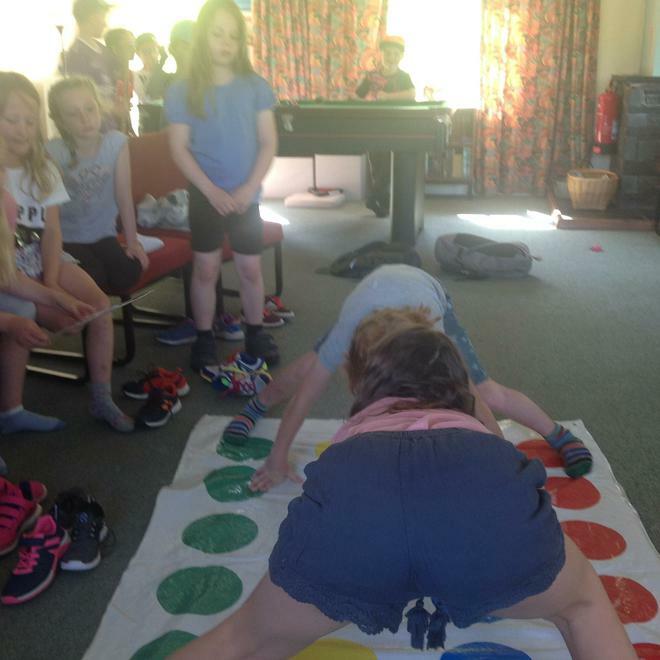 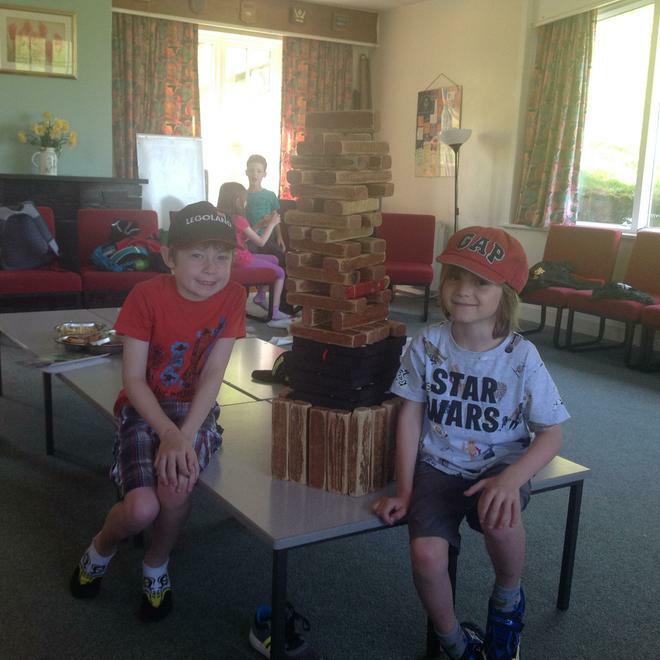 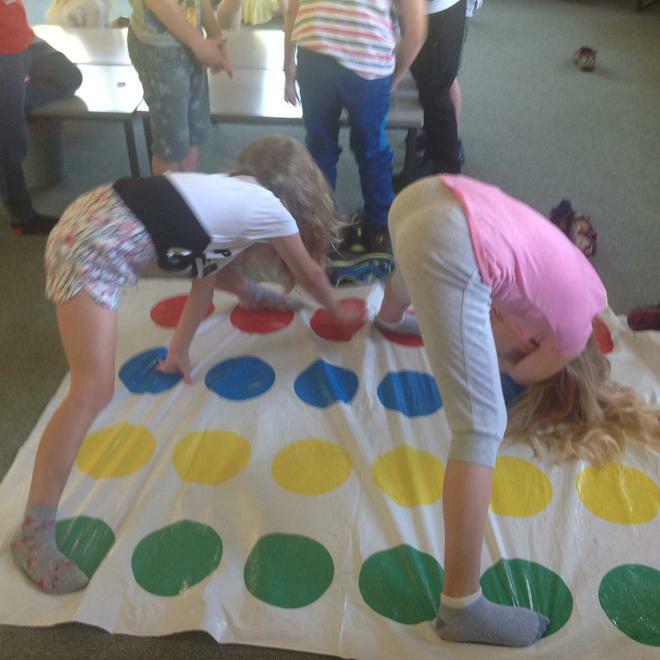 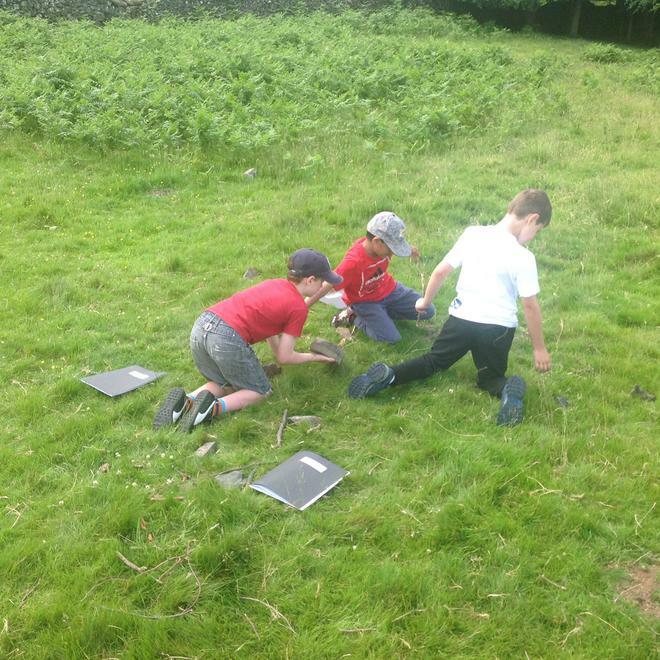 They also enjoyed the place valve games we played in pairs. 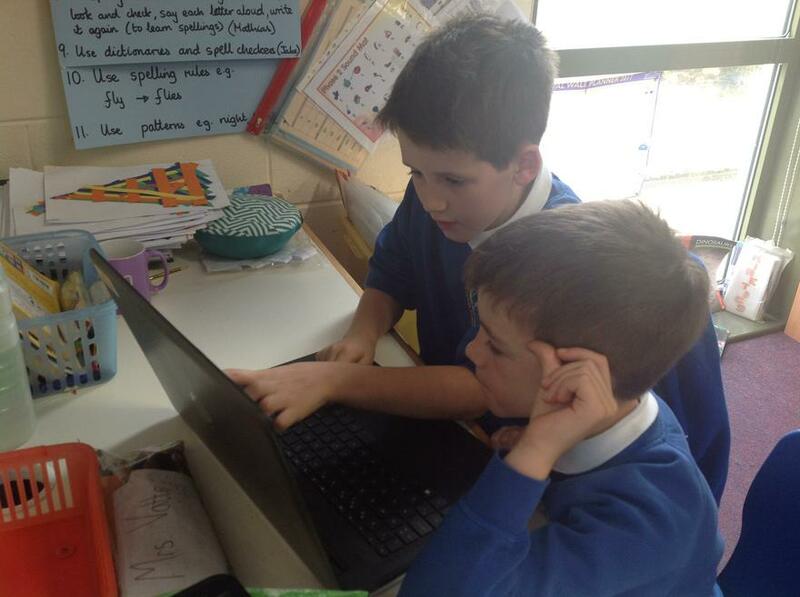 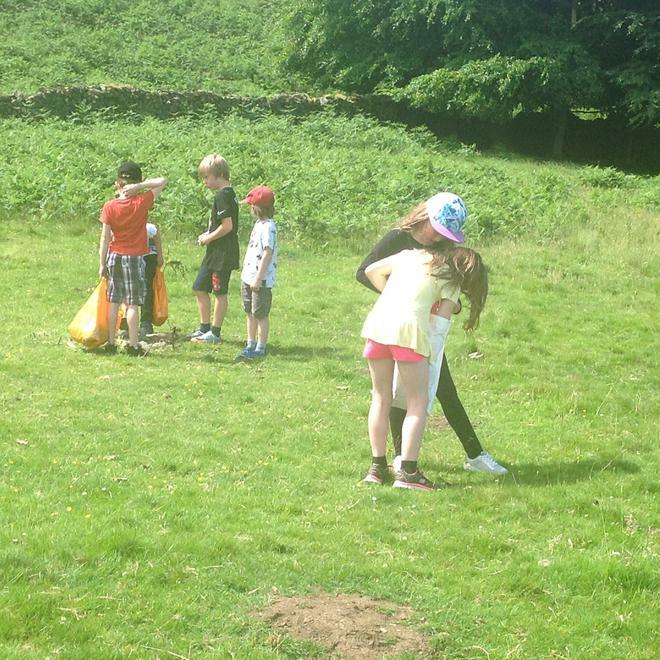 Year 3 and Year 5 working collaboratively - Times Times Rockstars in the making. 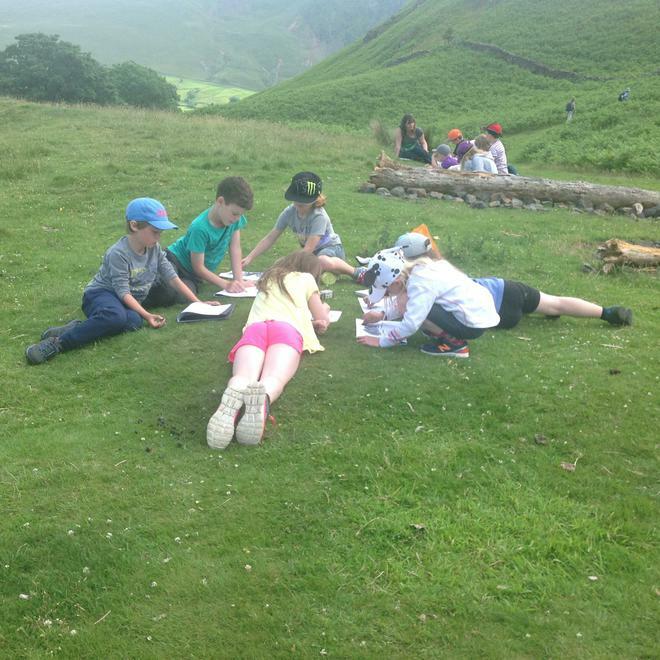 Year 6 made some field guides to support Year 3 with their Geography learning. 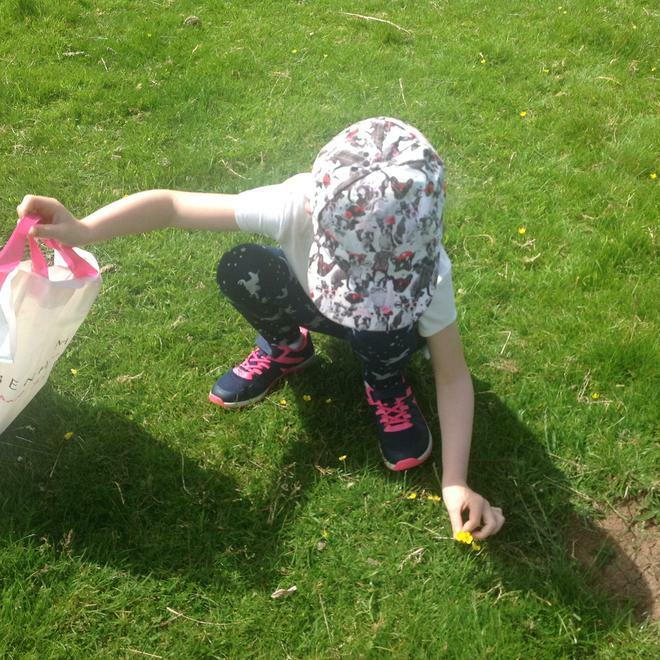 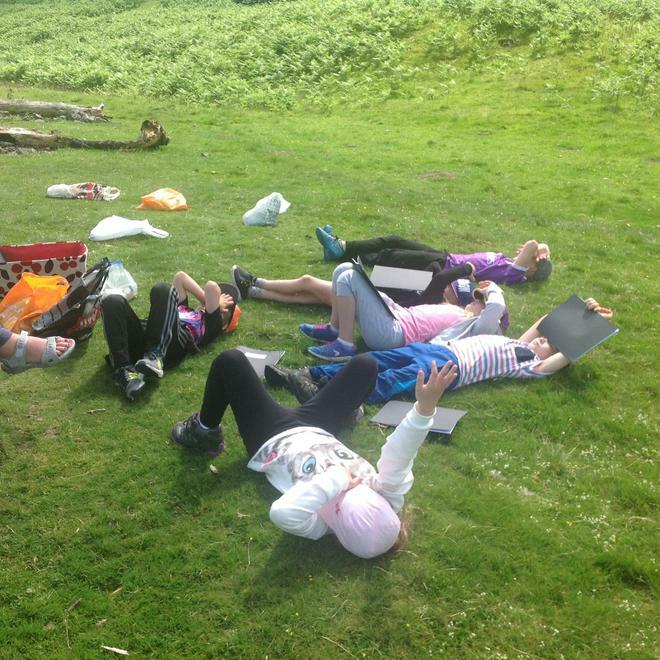 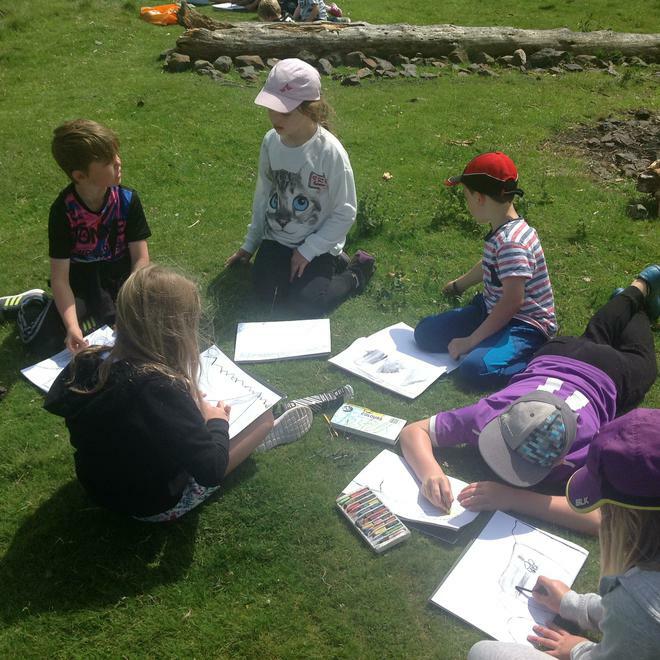 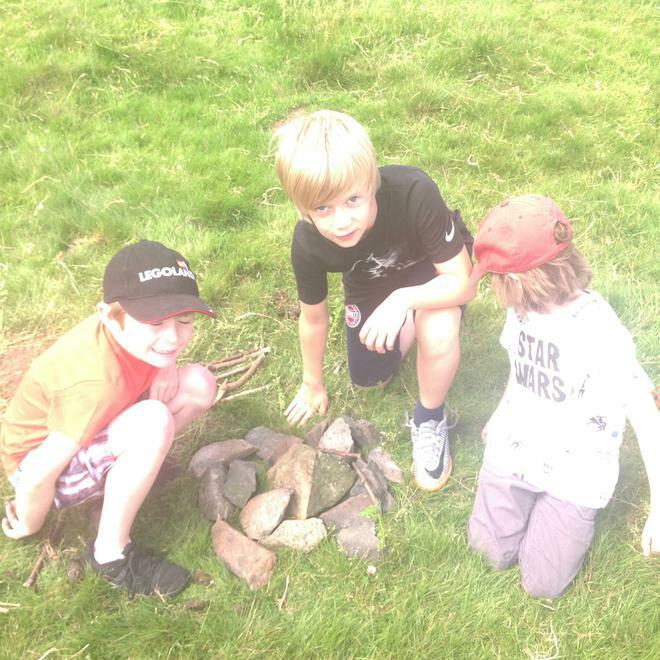 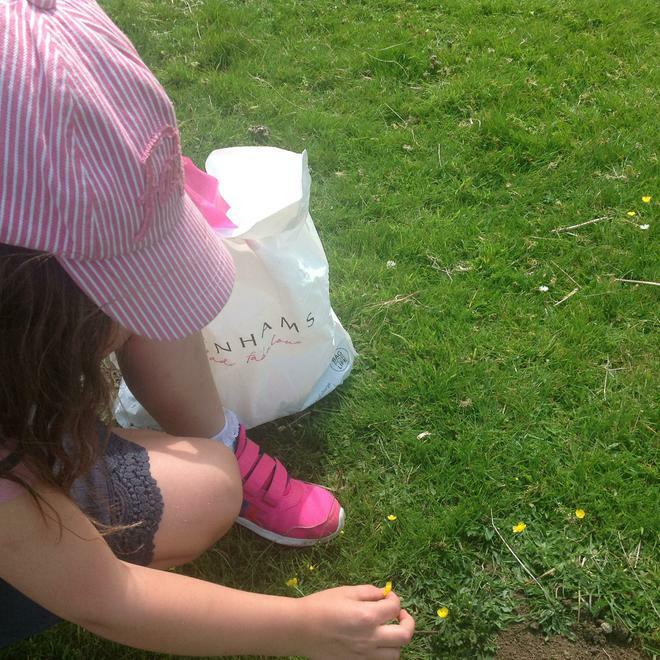 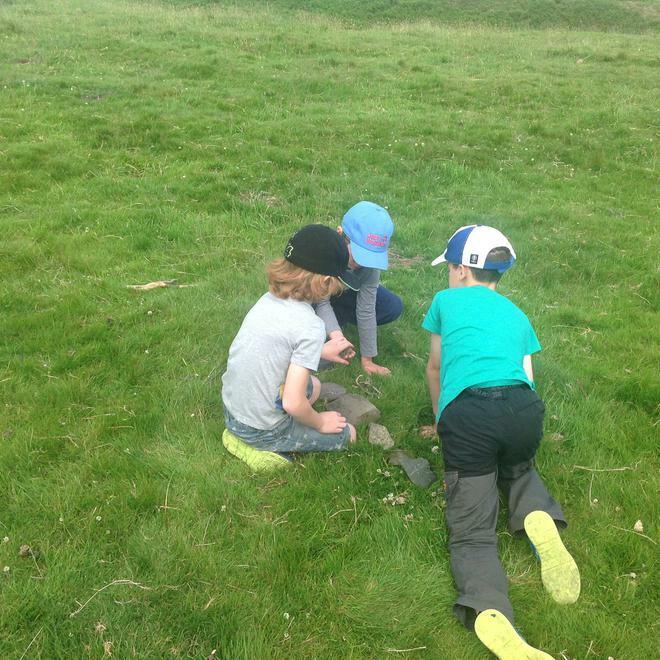 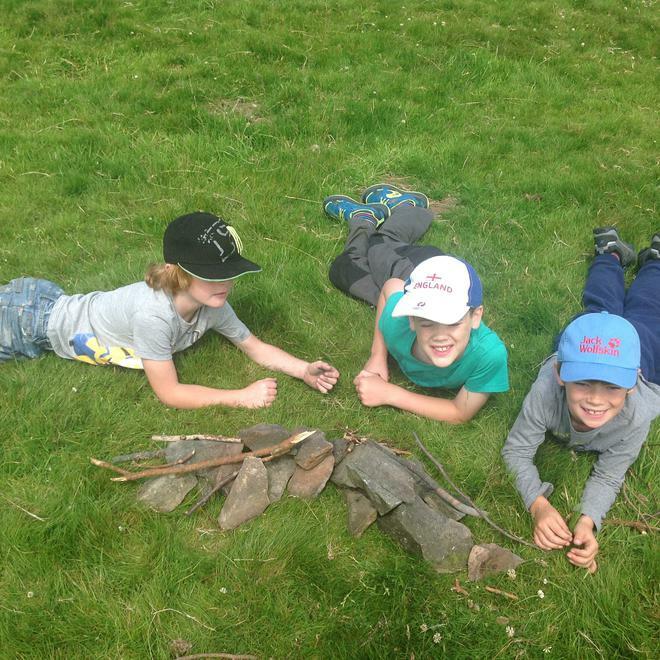 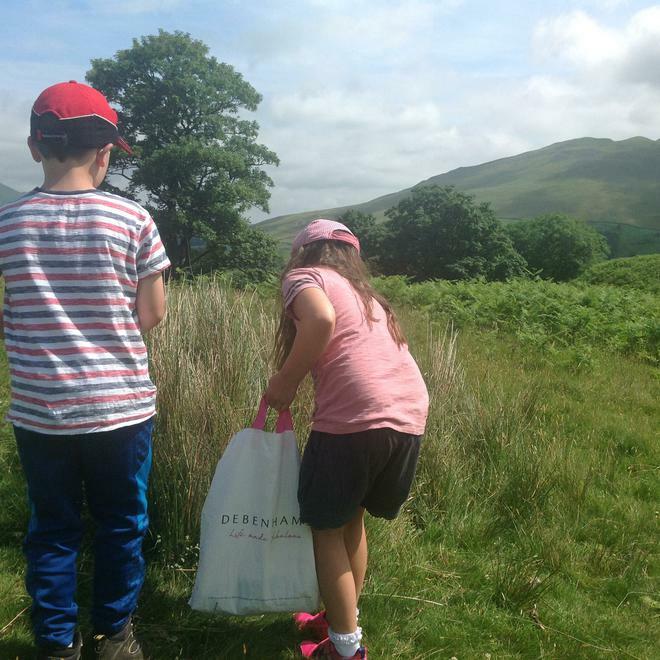 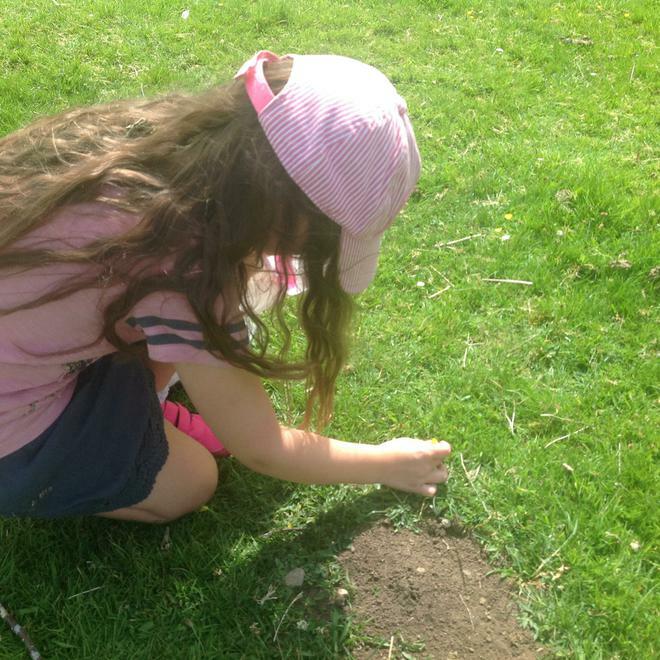 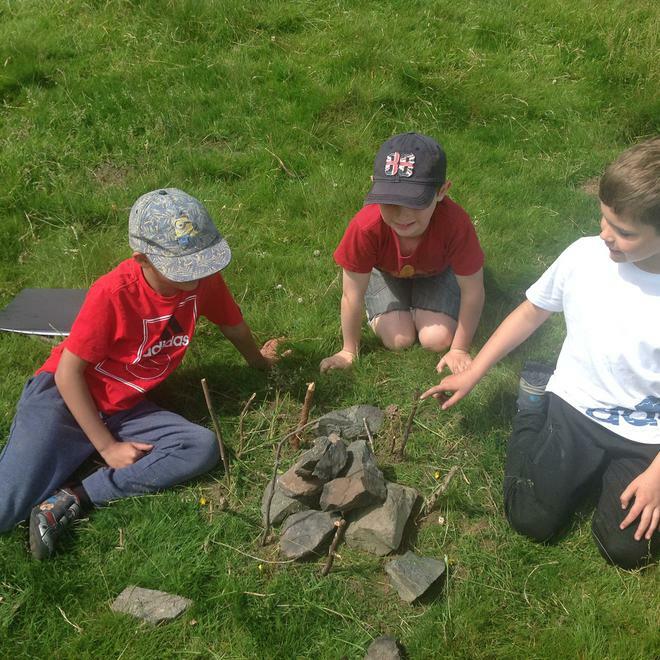 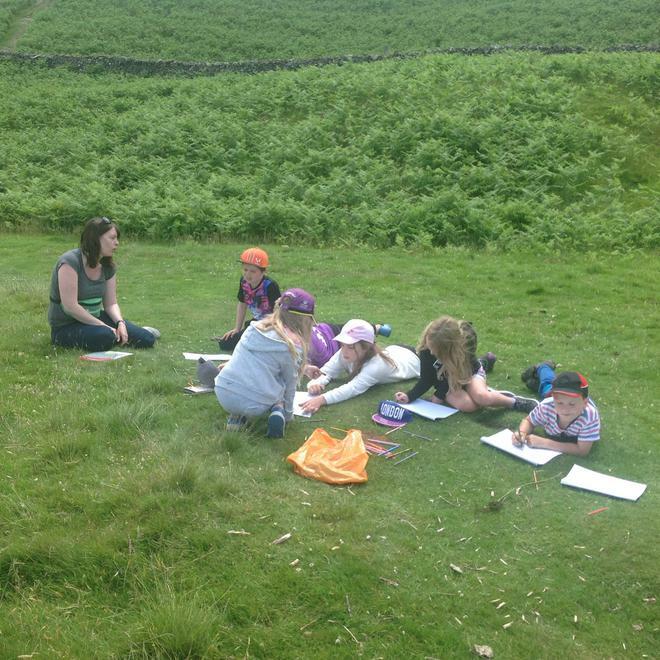 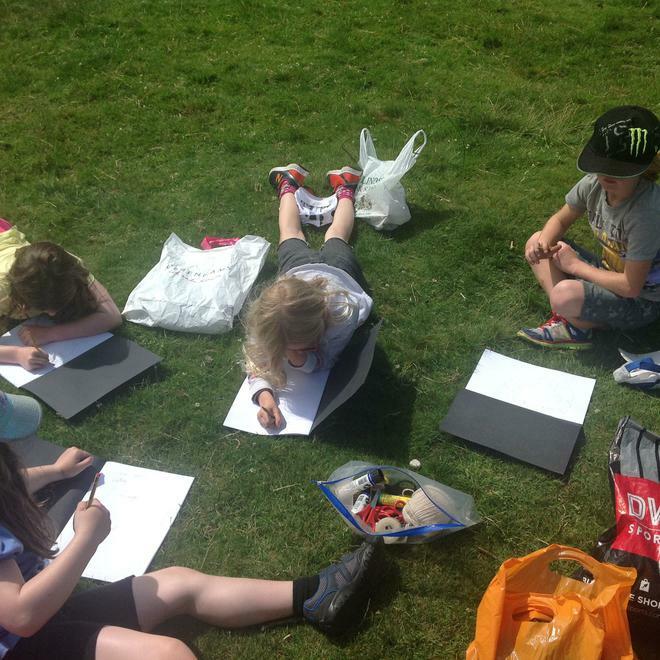 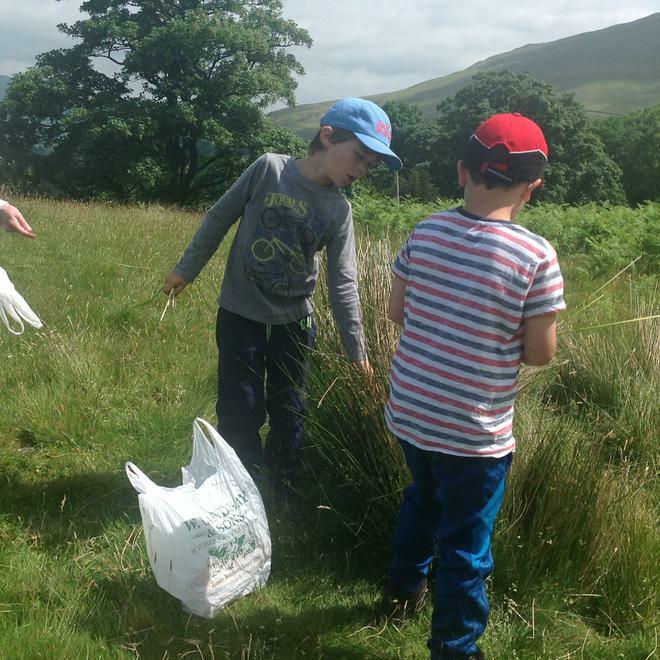 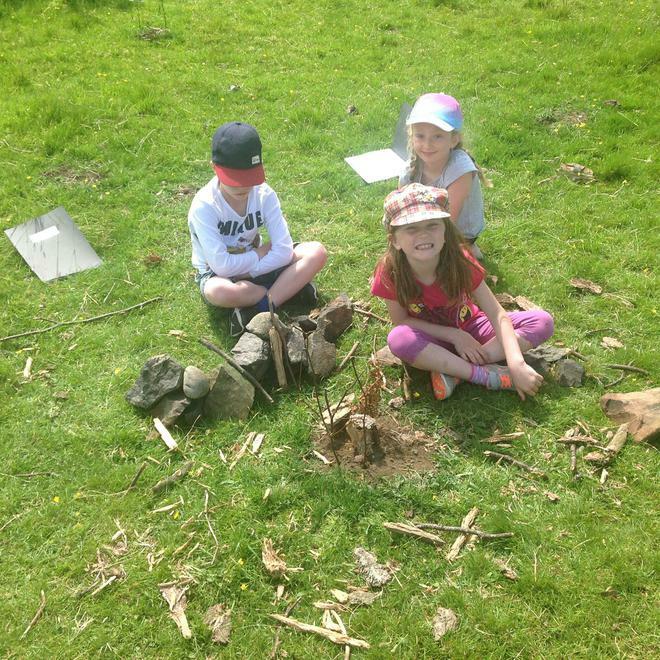 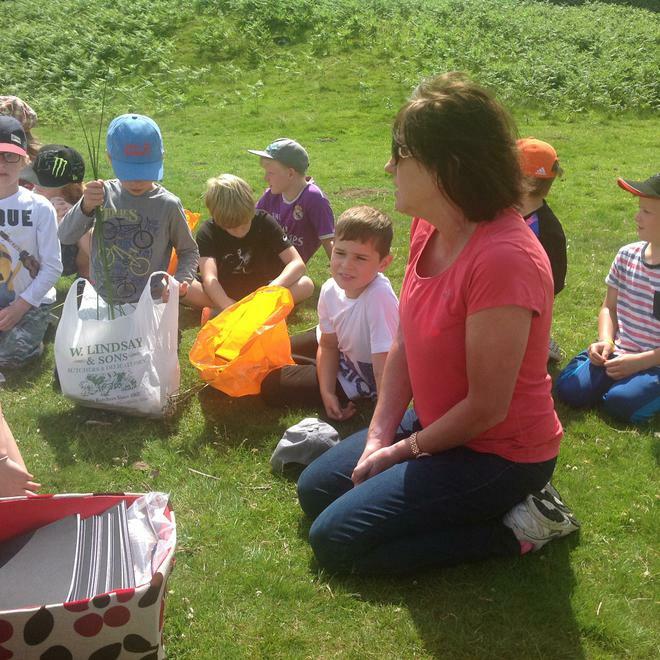 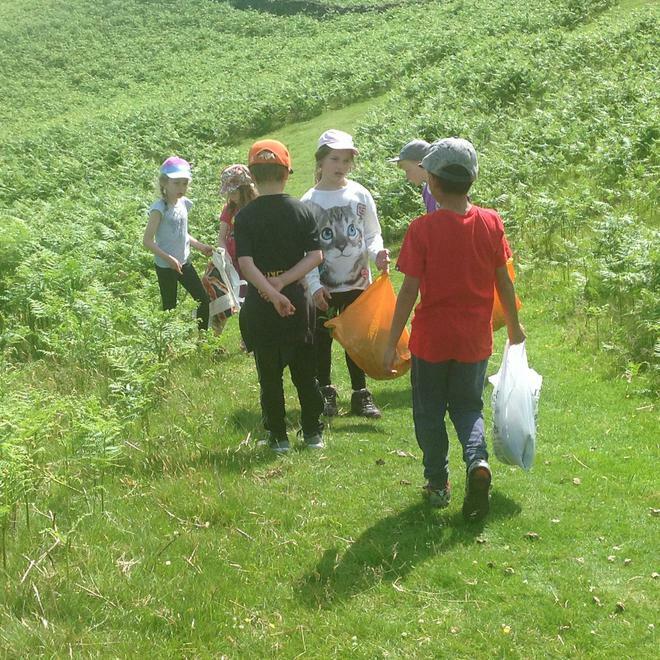 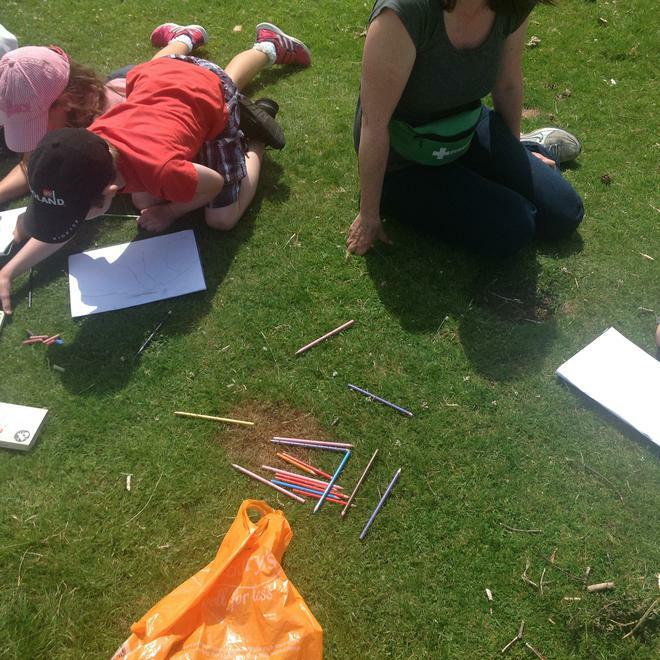 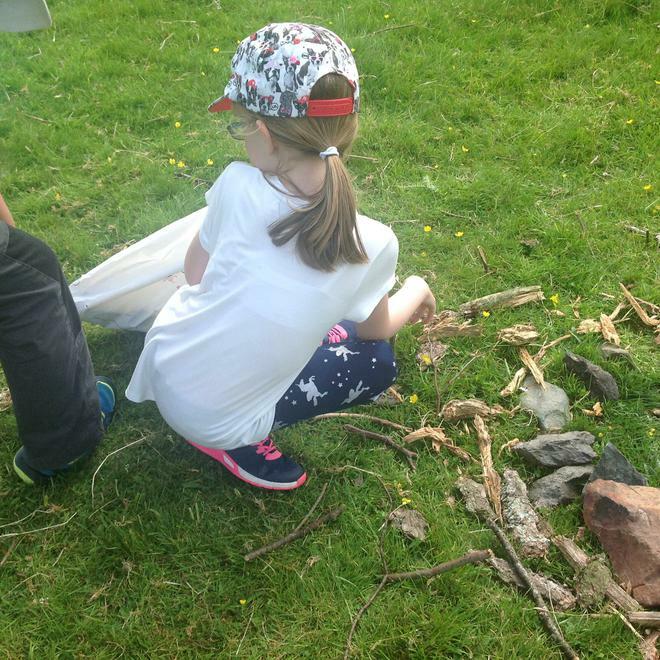 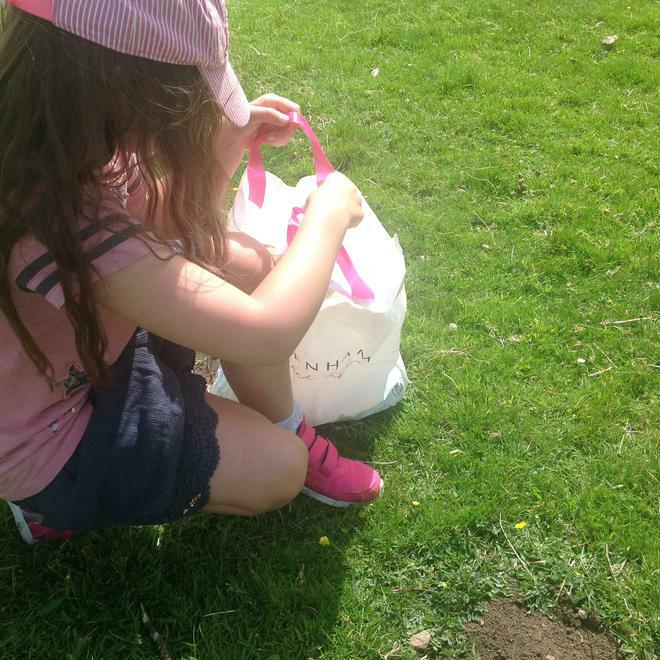 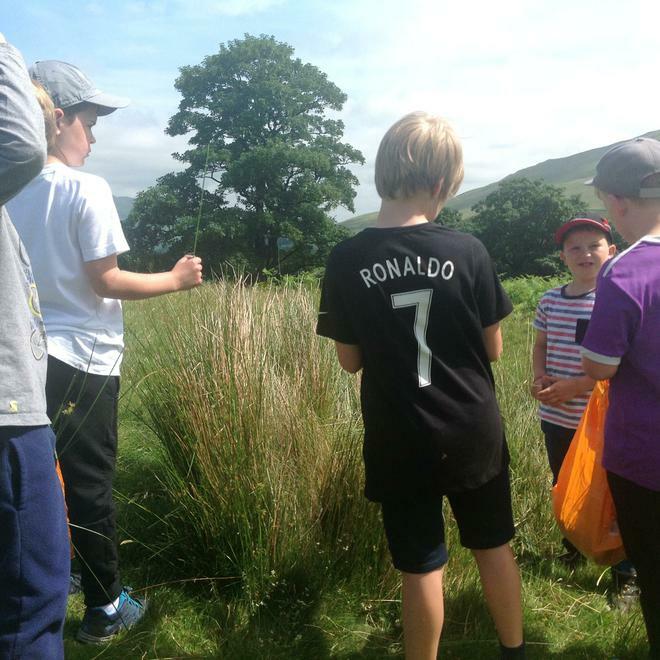 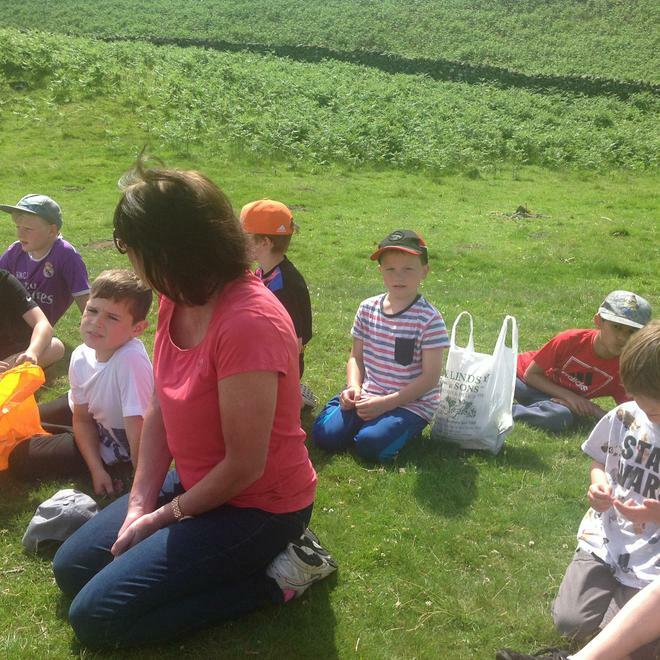 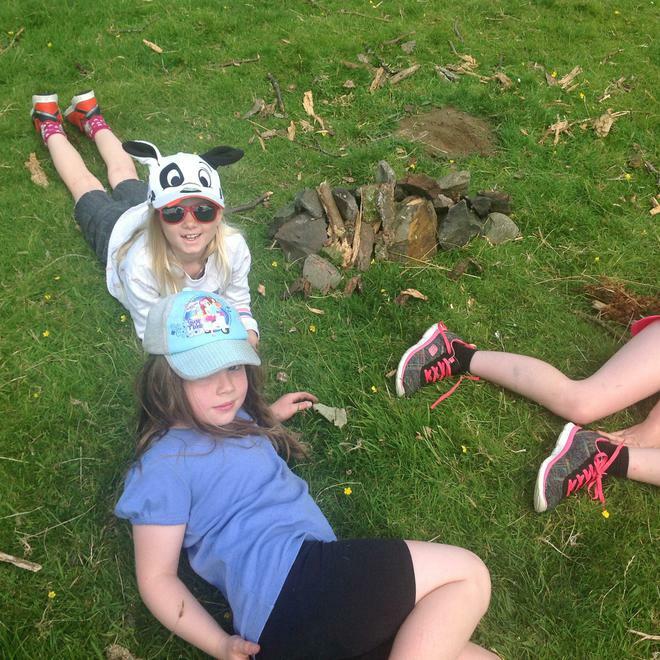 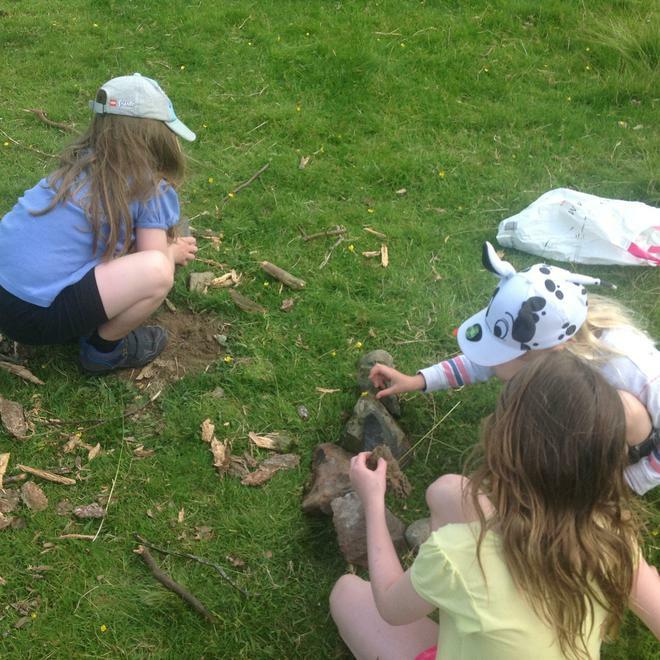 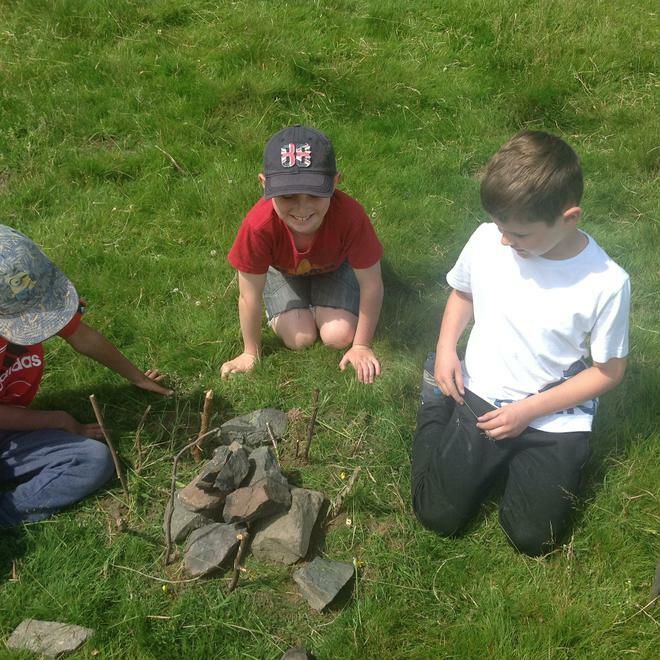 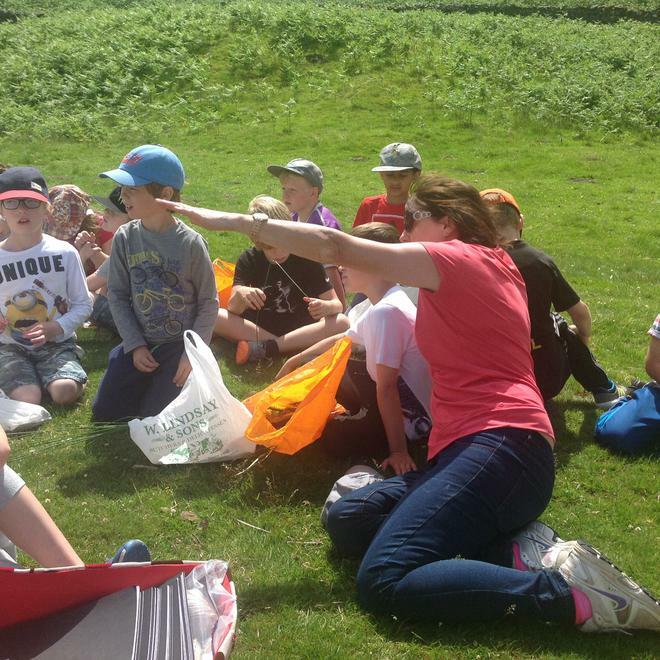 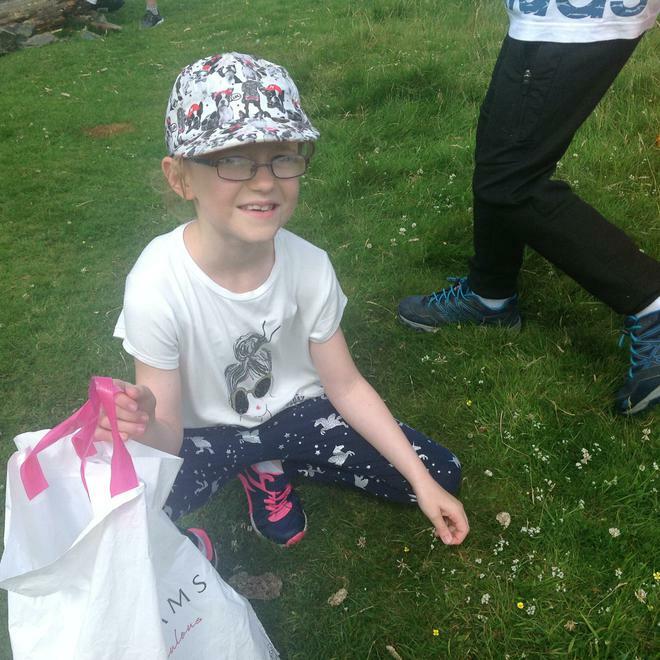 We spent the morning working in the school grounds, near the pond, in the Meadow and around the amphitheatre using the guides. 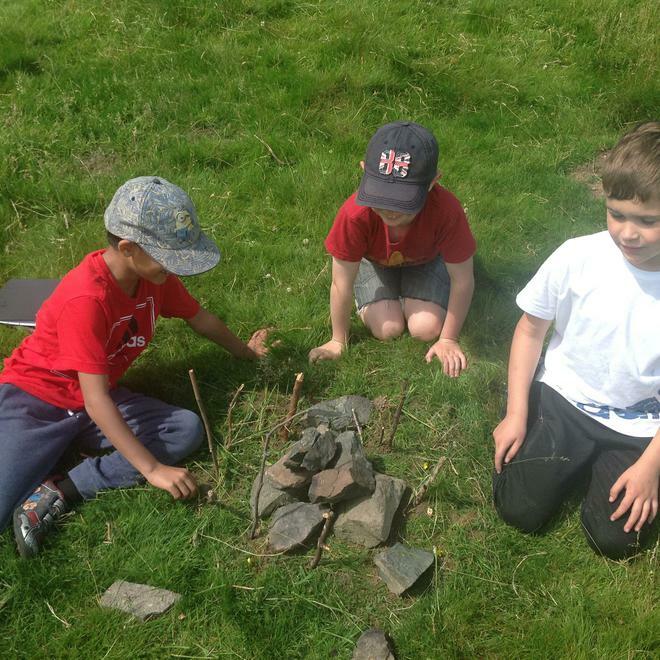 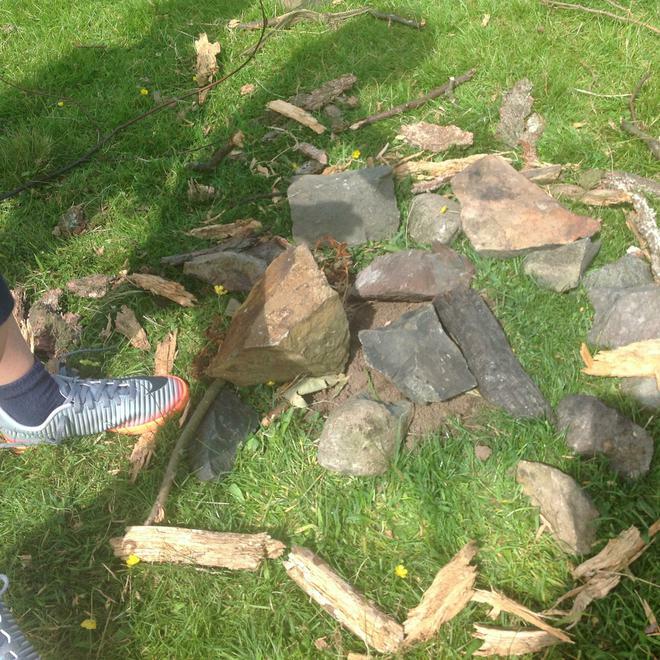 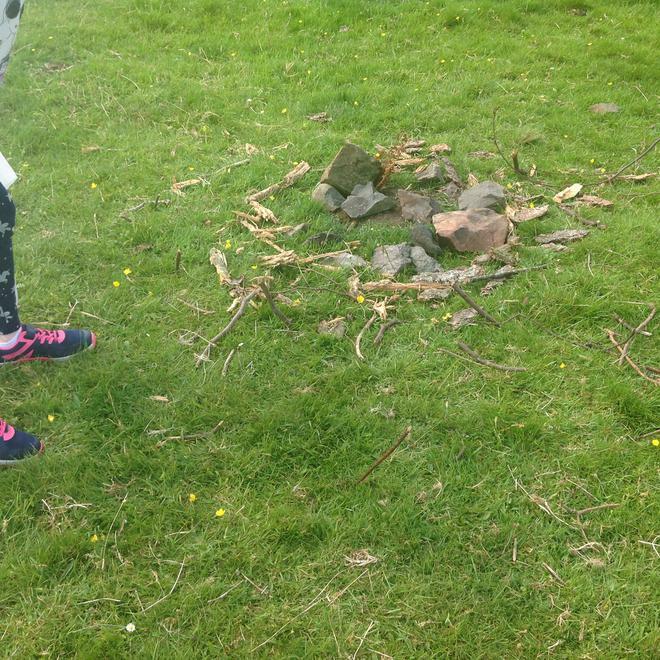 This allowed us to look at the nature that surrounds our school. 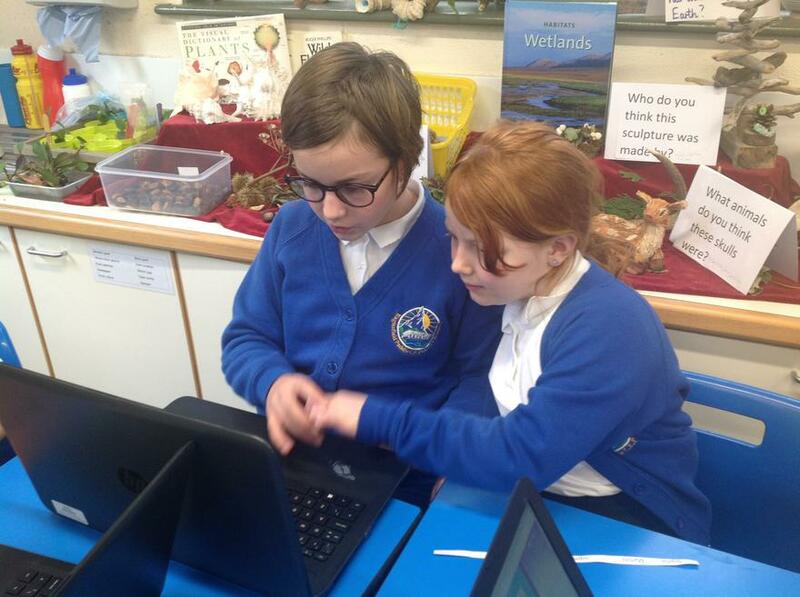 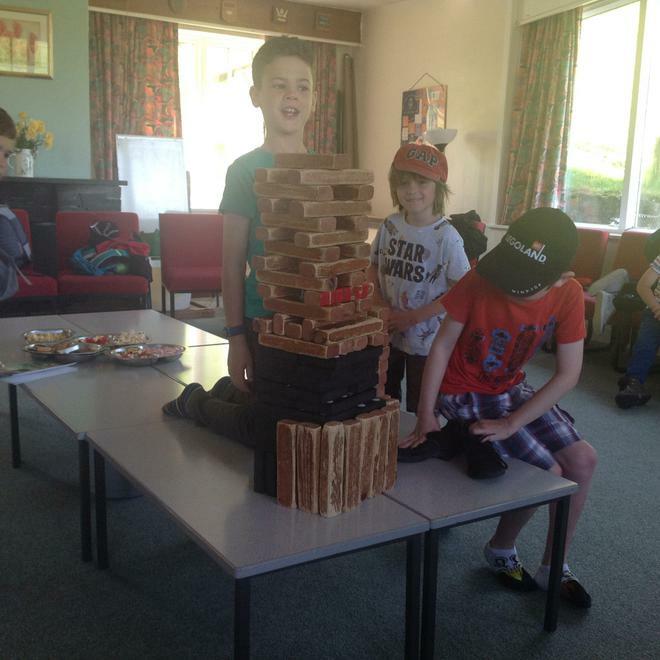 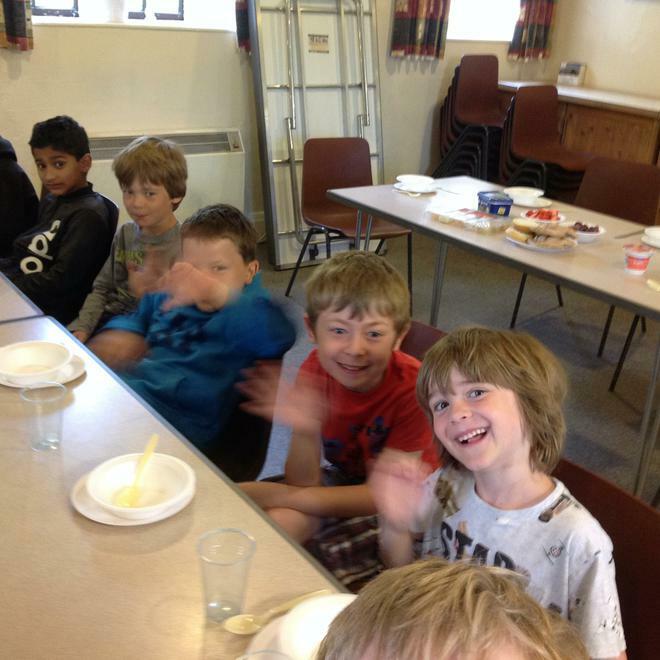 We had a great time working with Year 6. 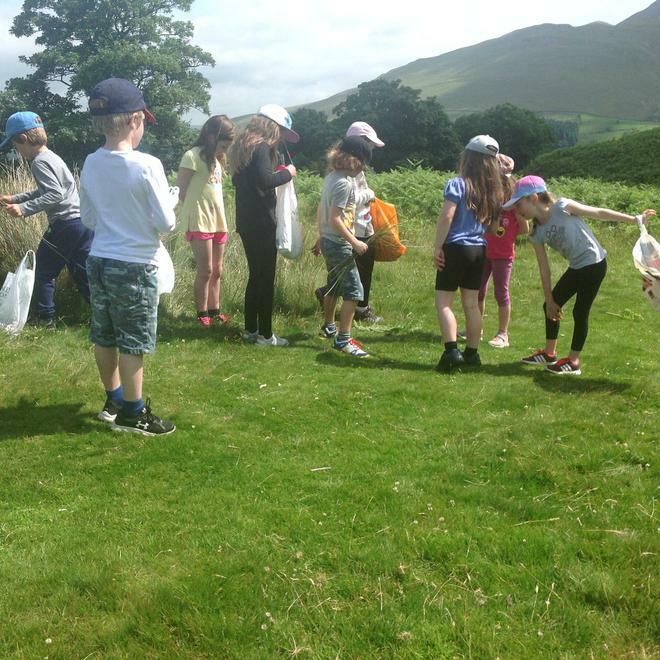 Thank You Year 6 for teaching us. 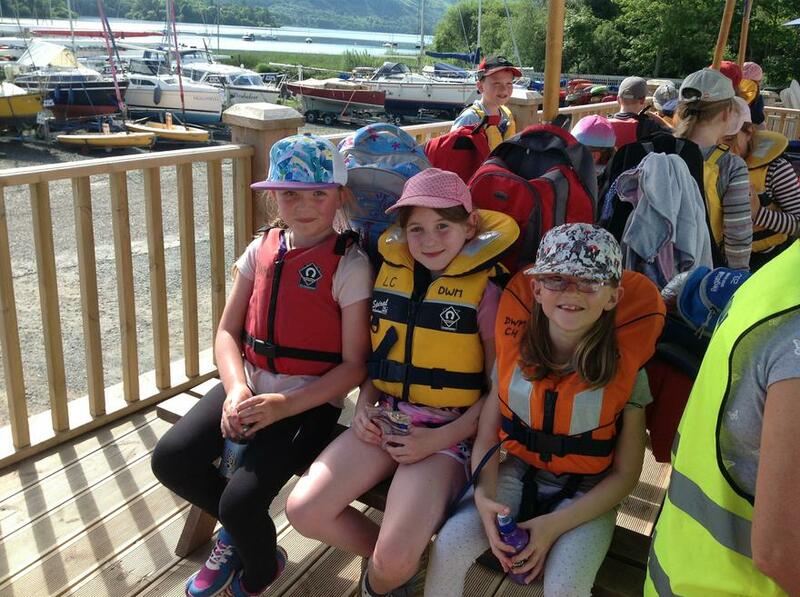 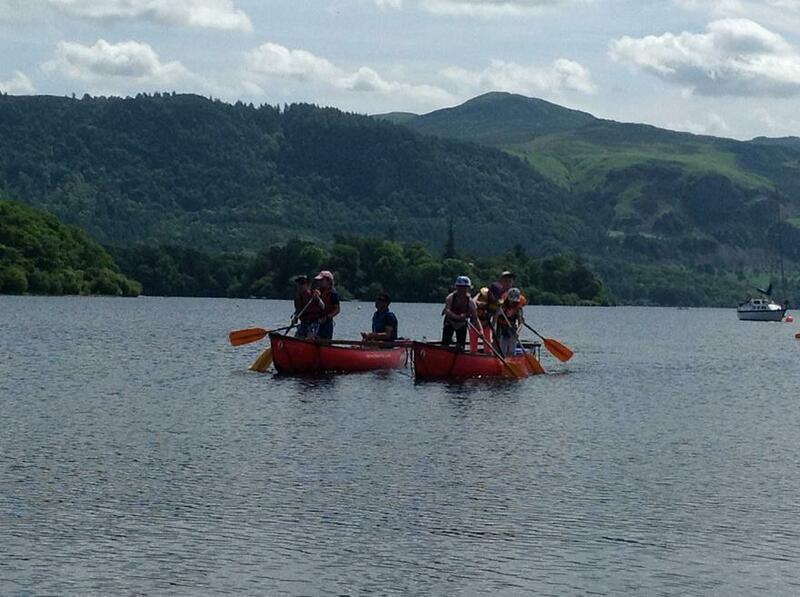 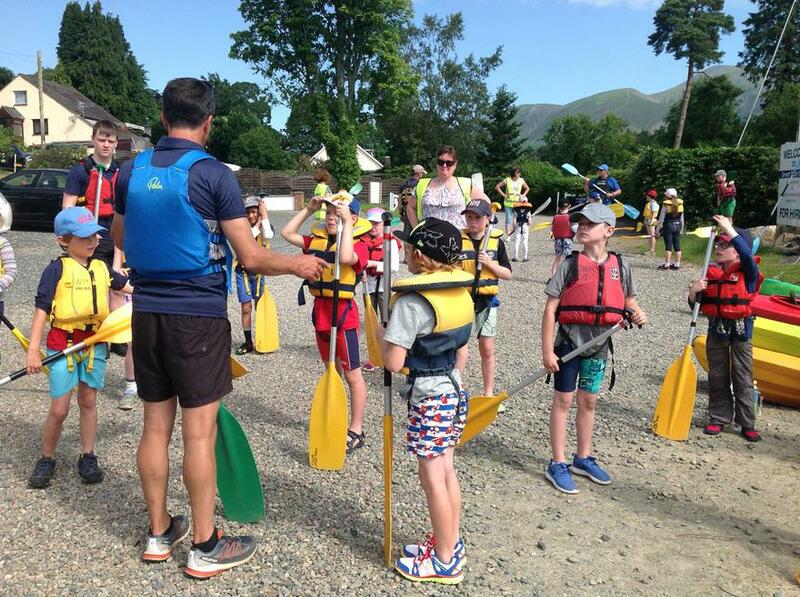 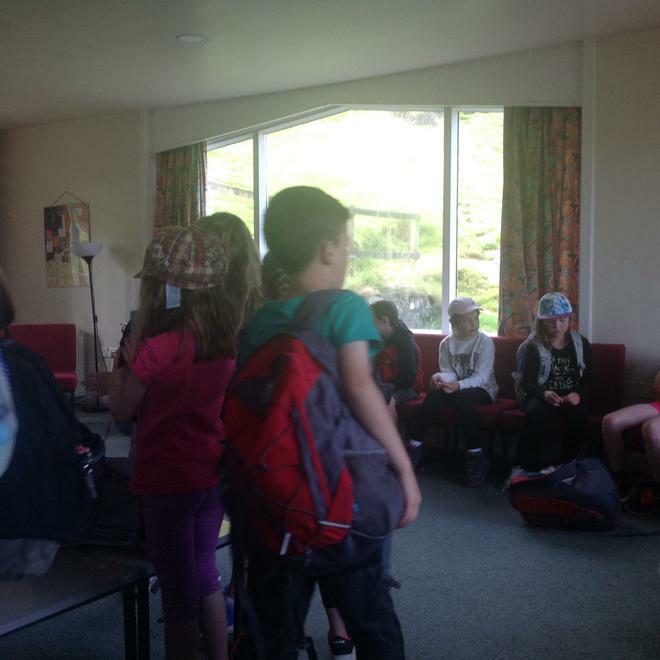 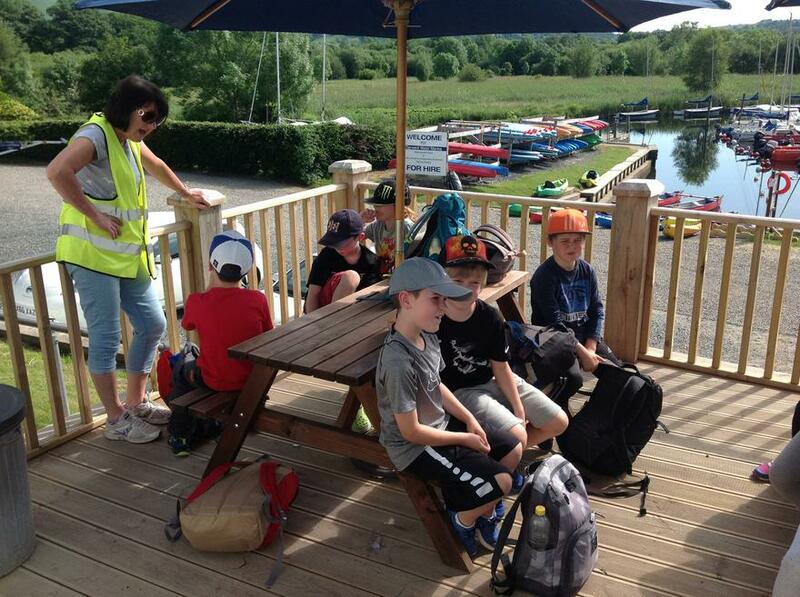 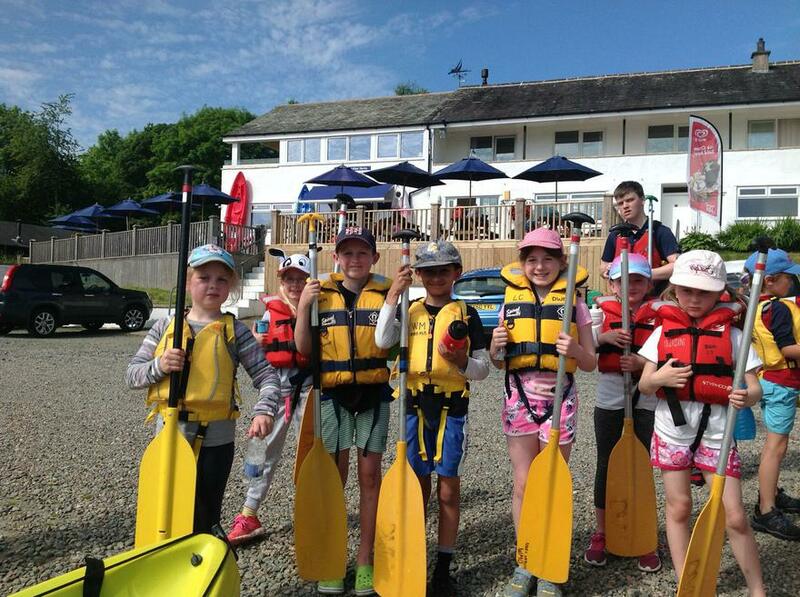 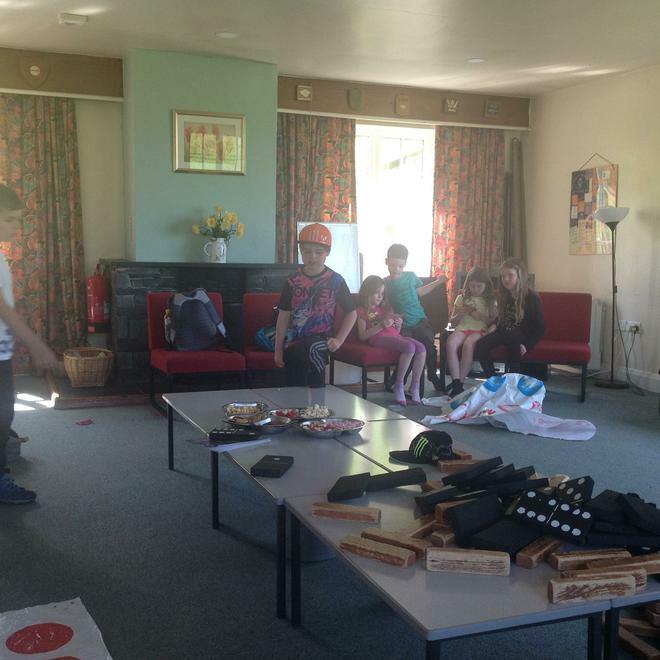 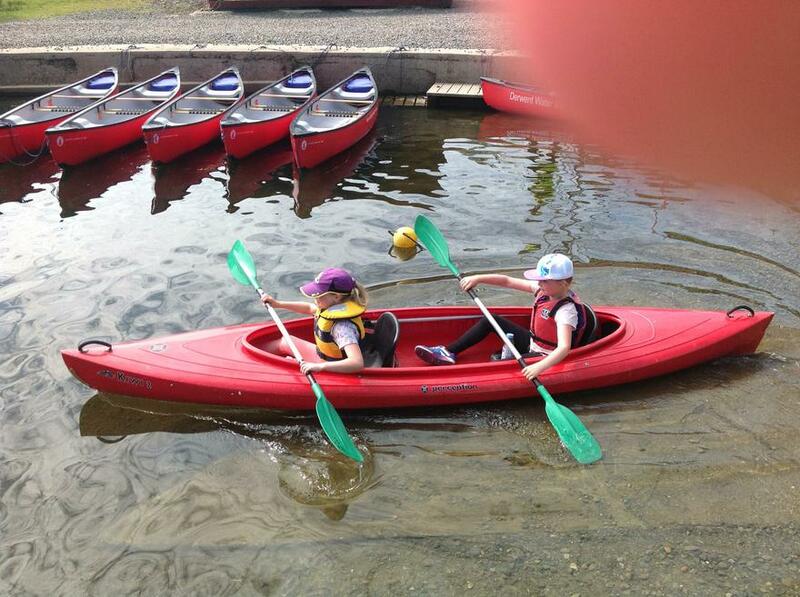 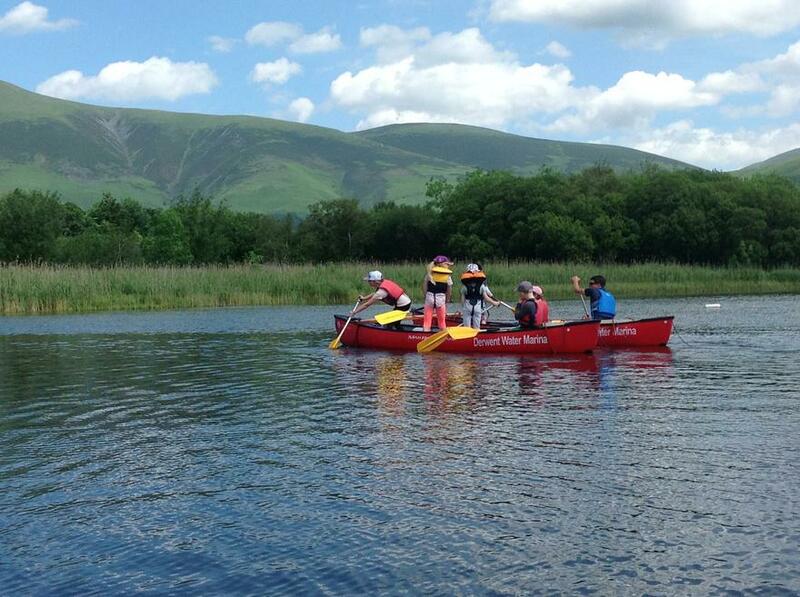 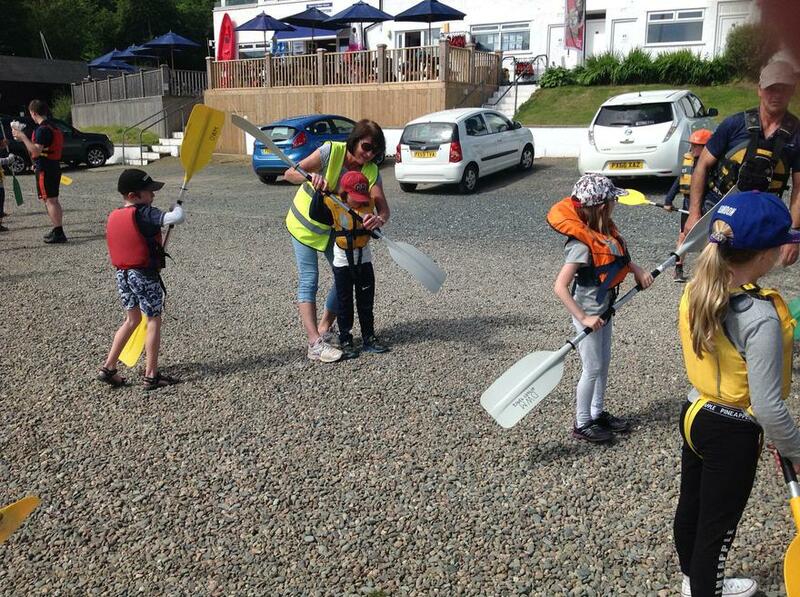 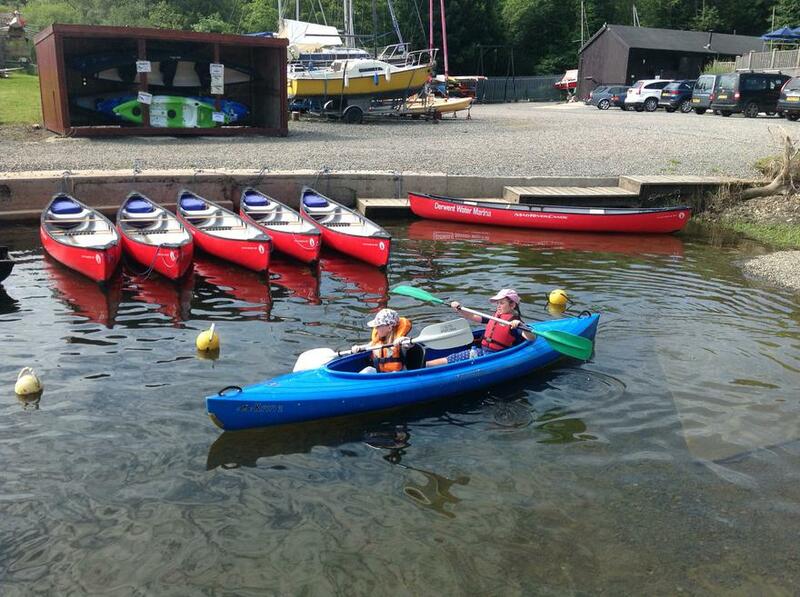 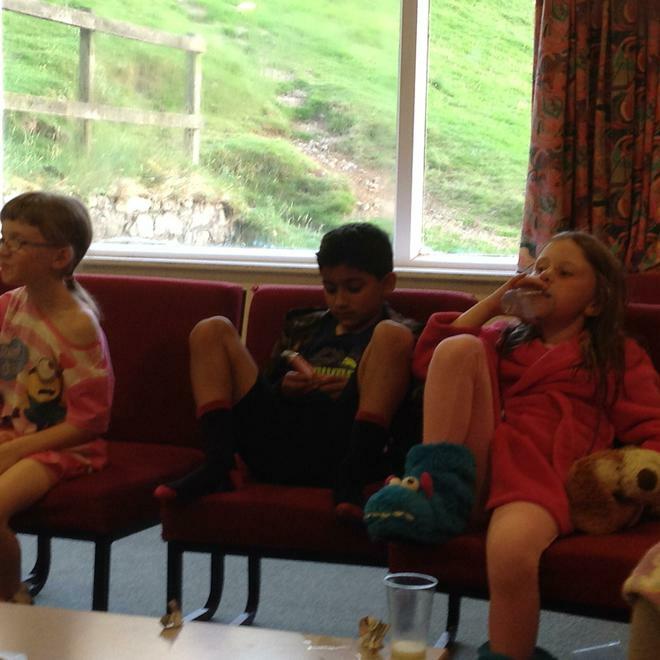 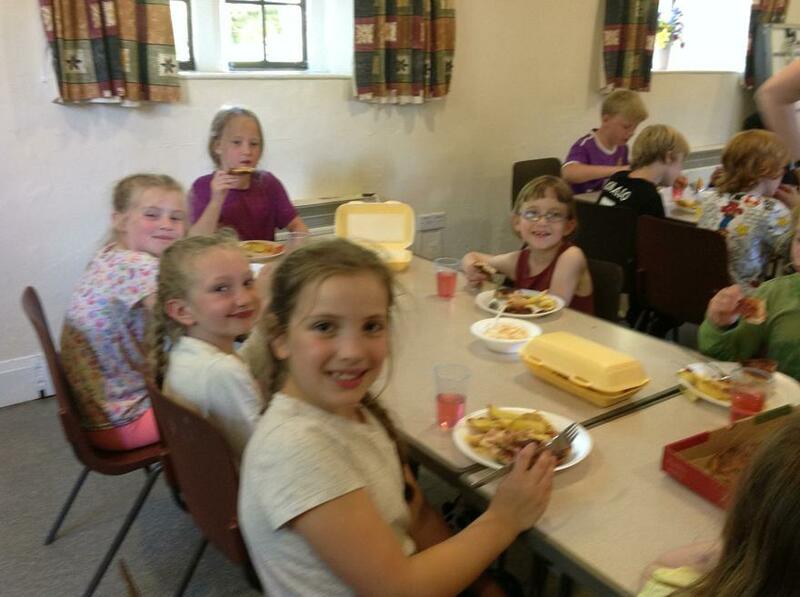 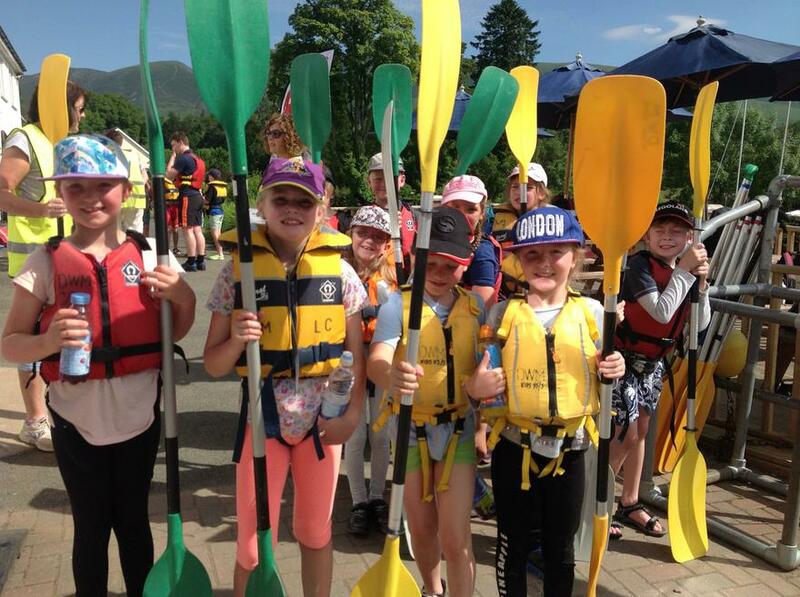 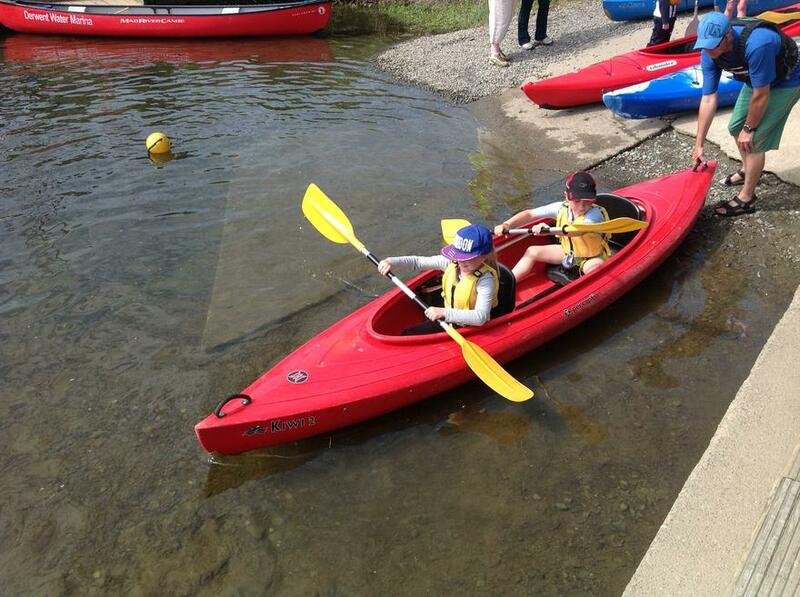 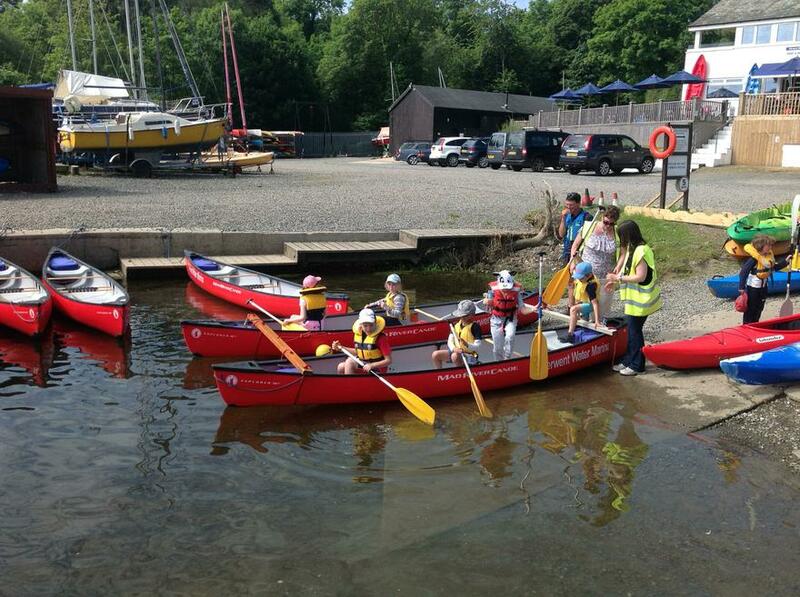 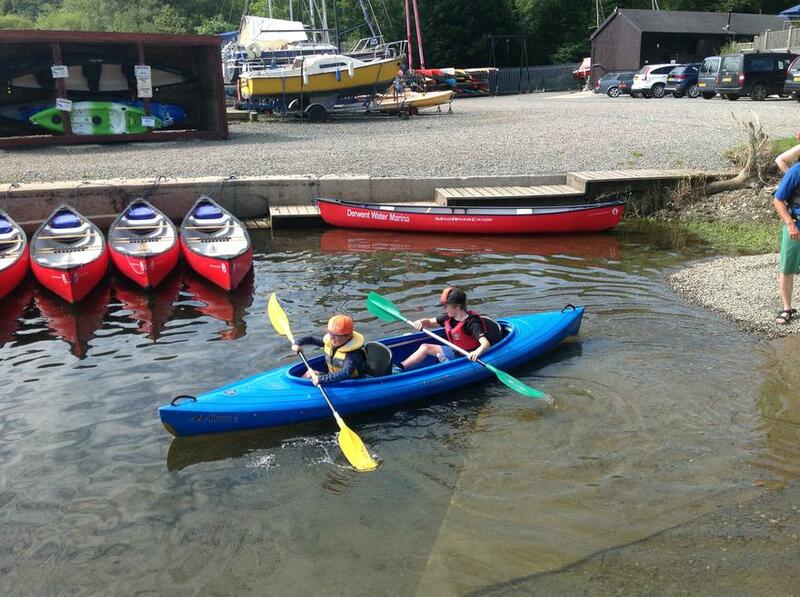 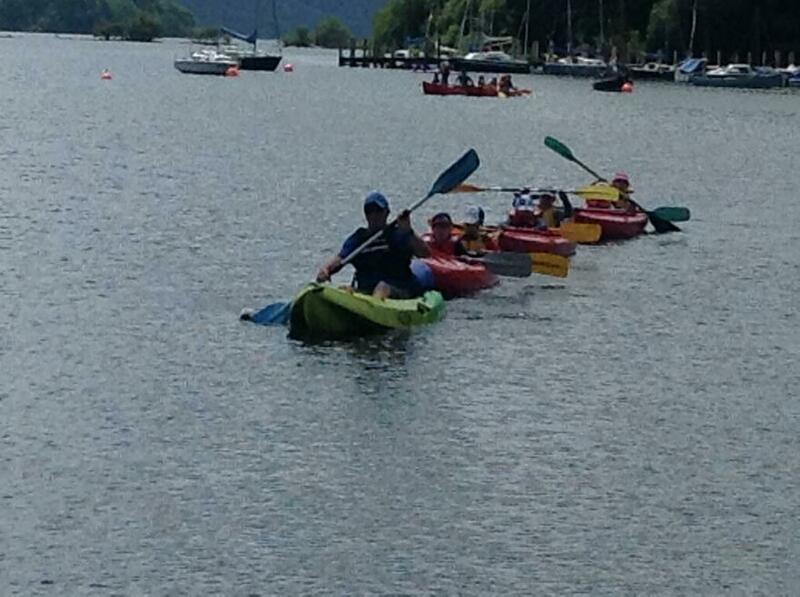 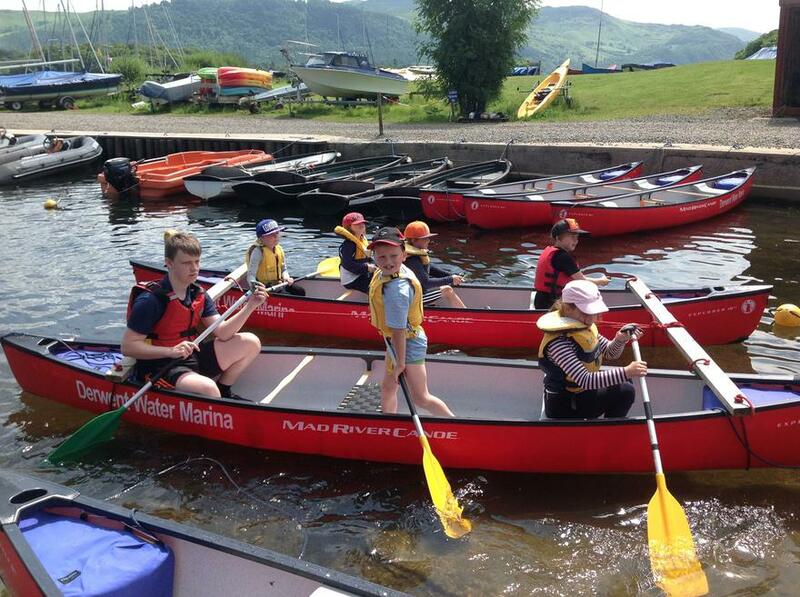 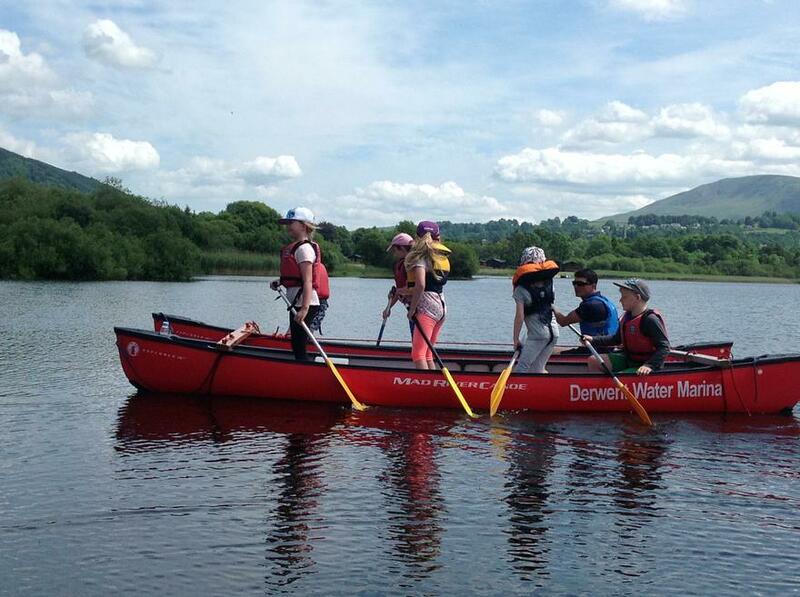 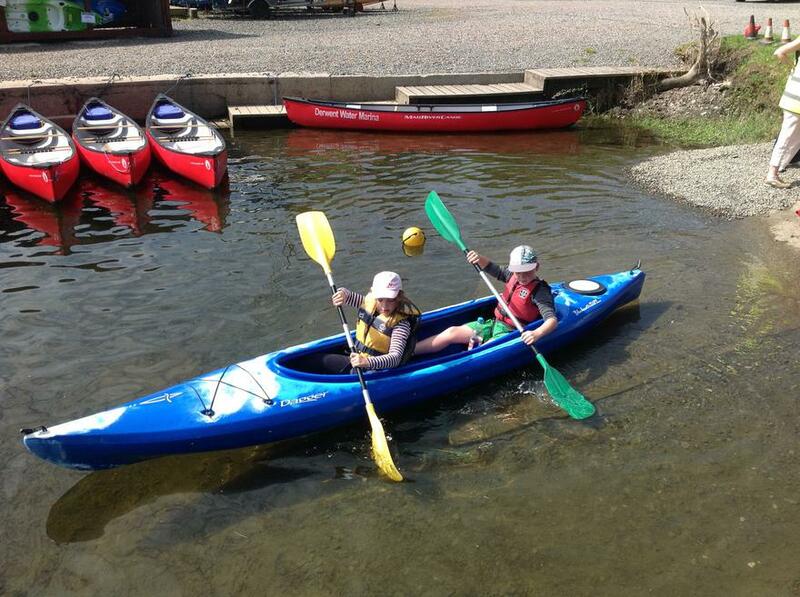 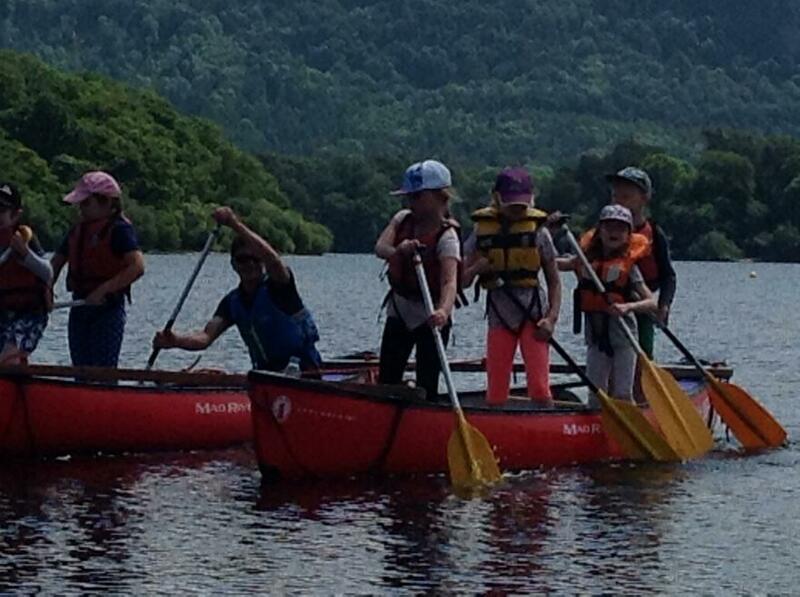 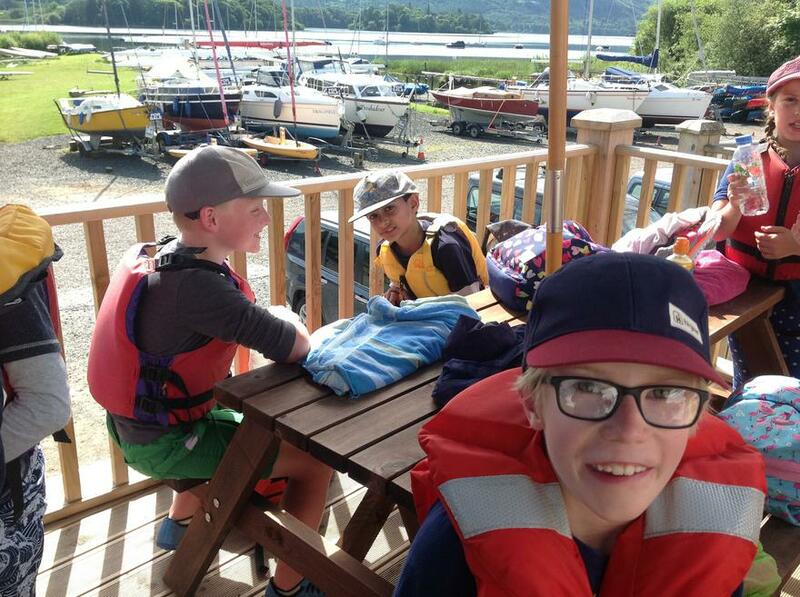 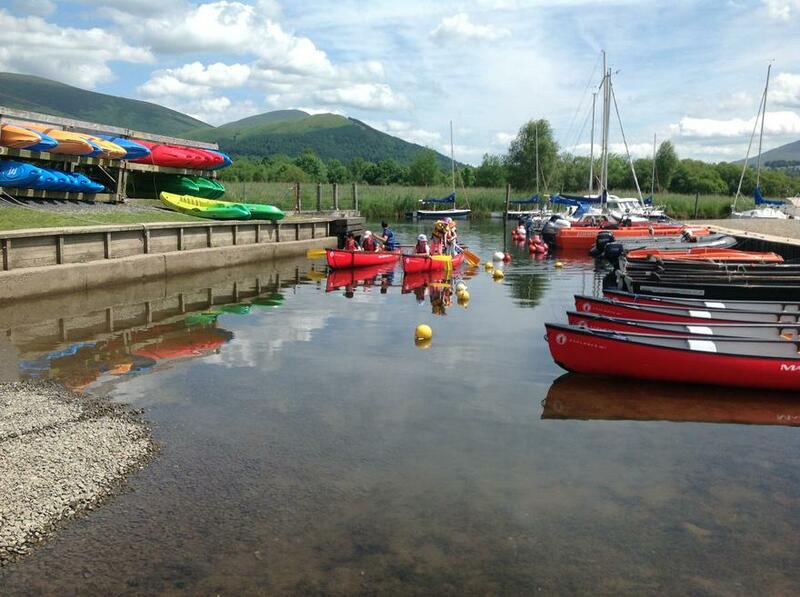 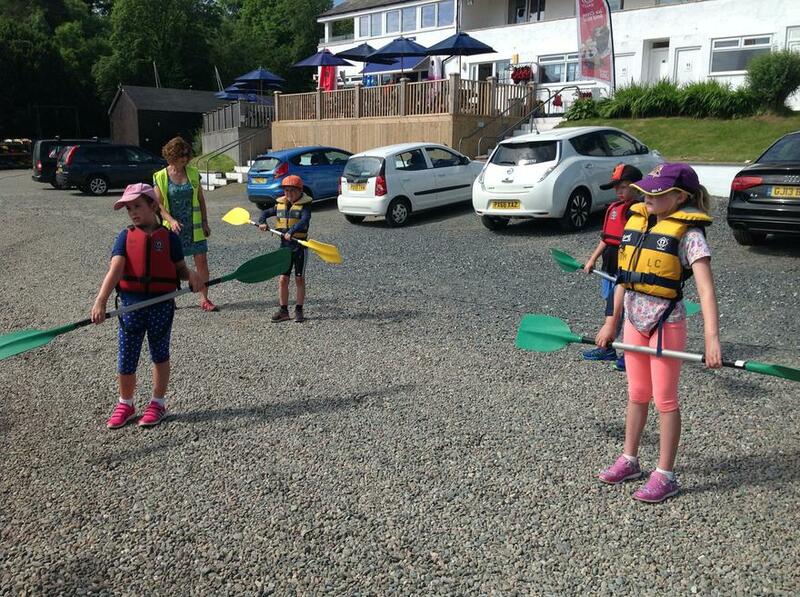 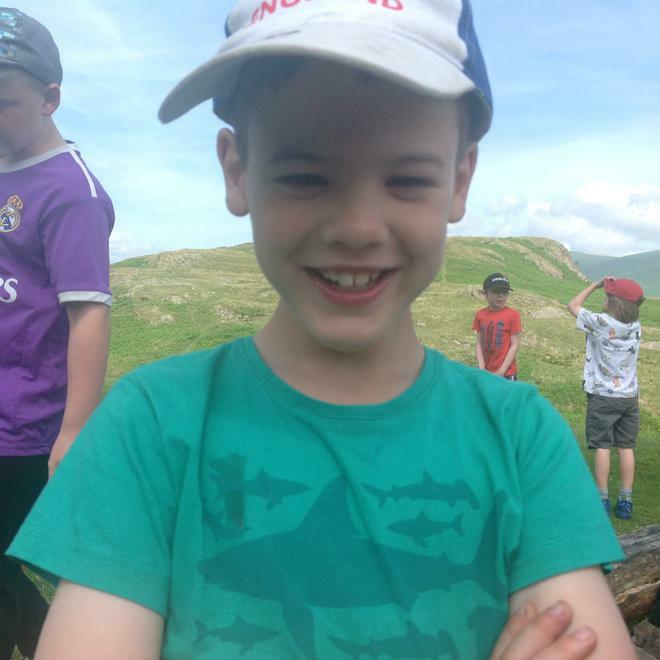 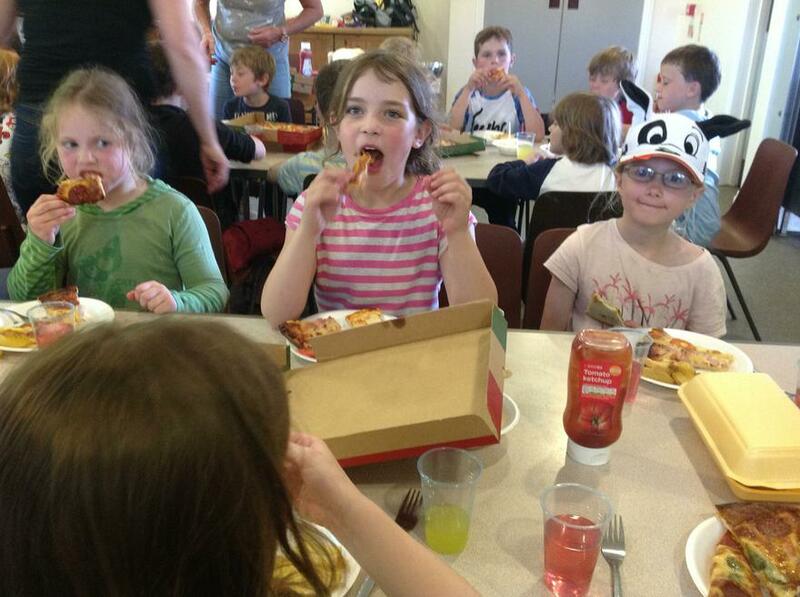 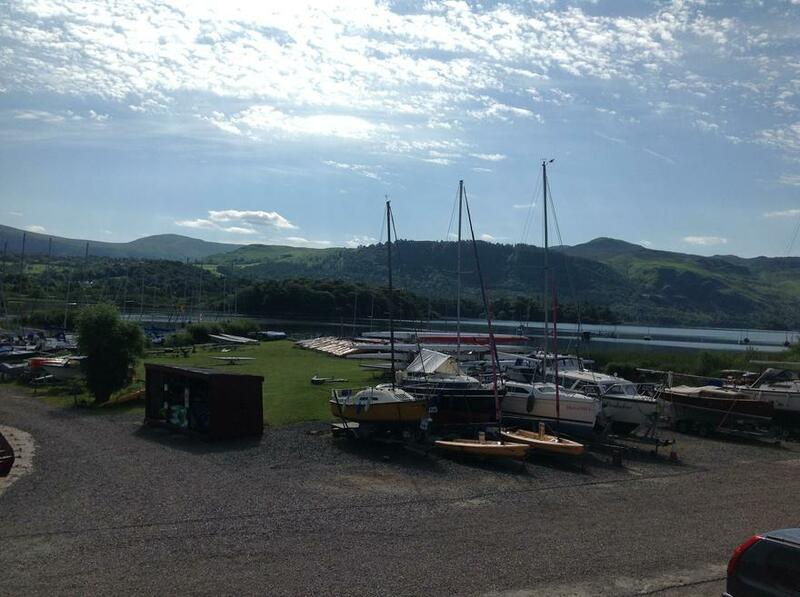 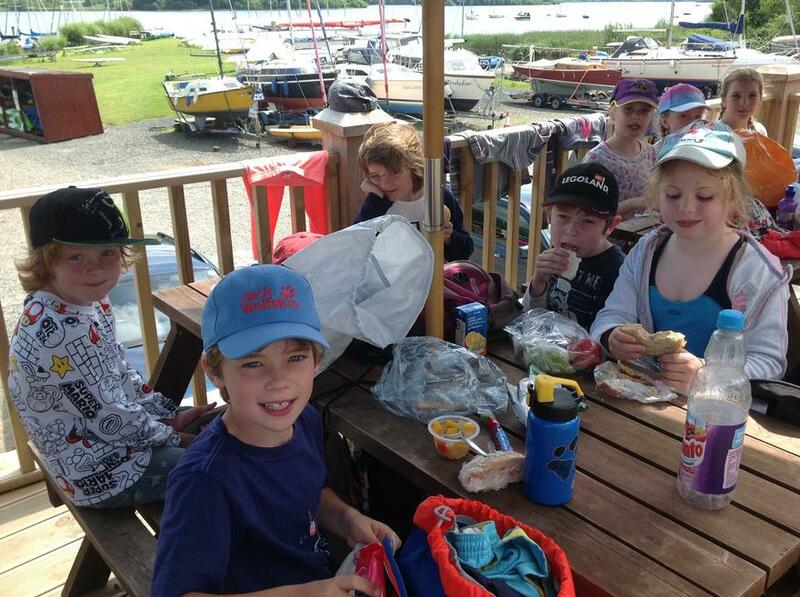 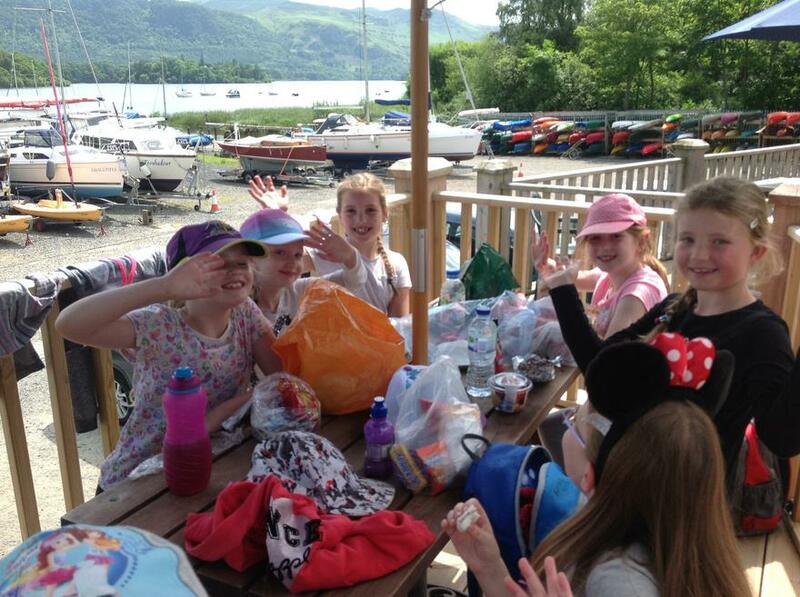 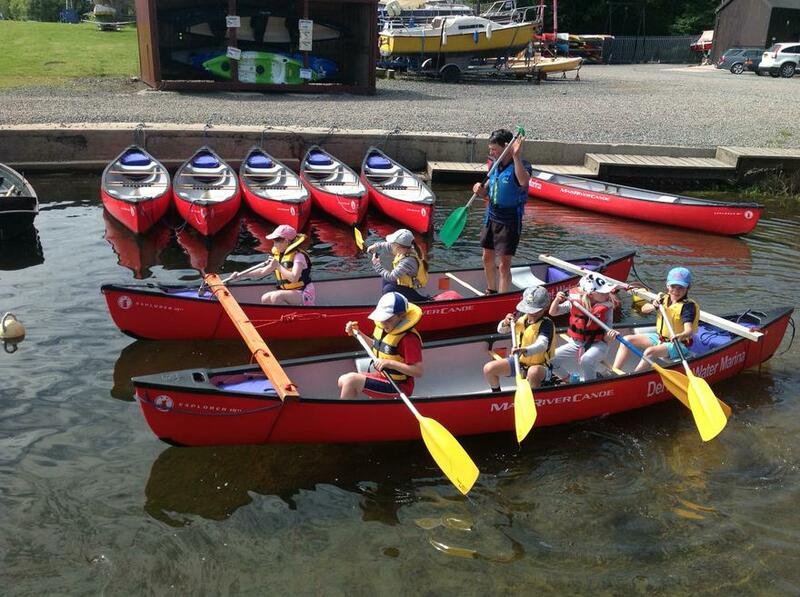 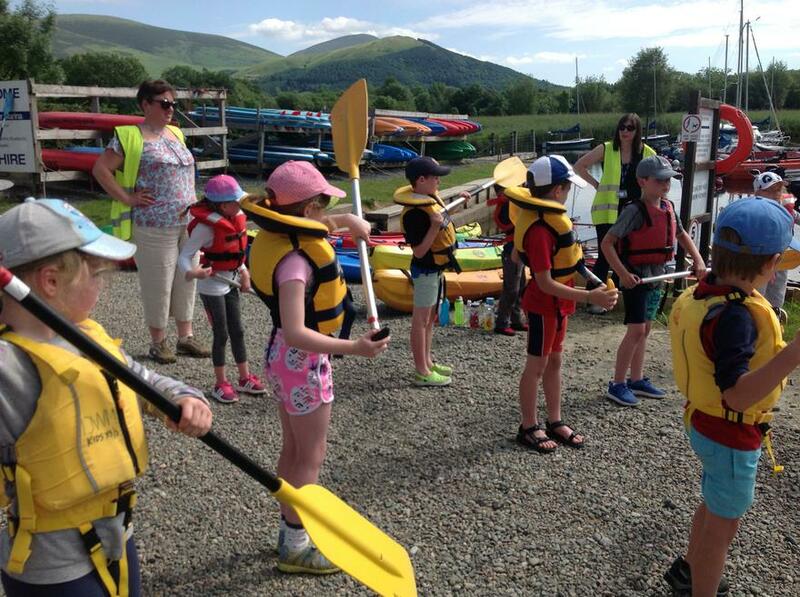 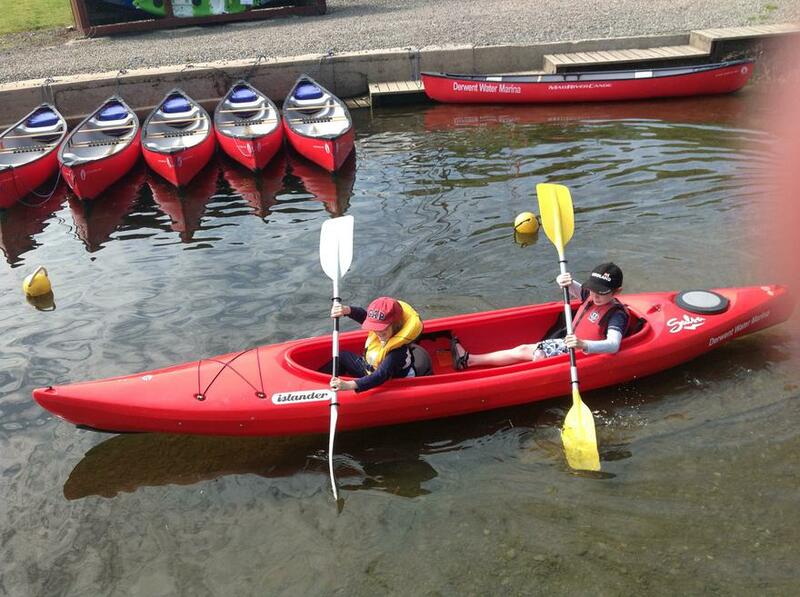 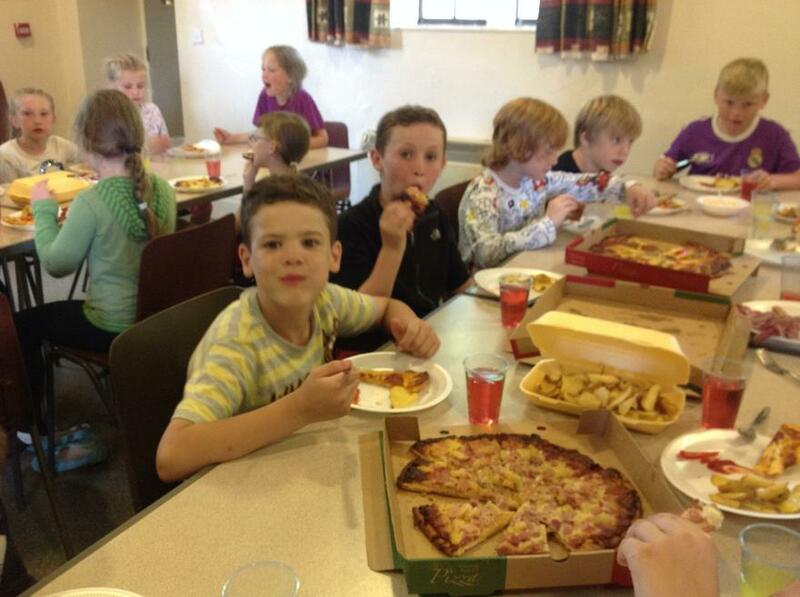 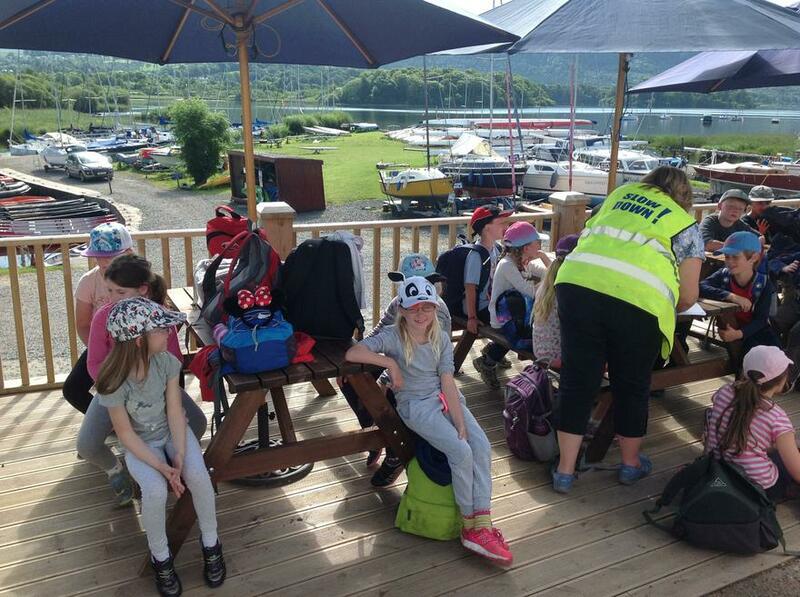 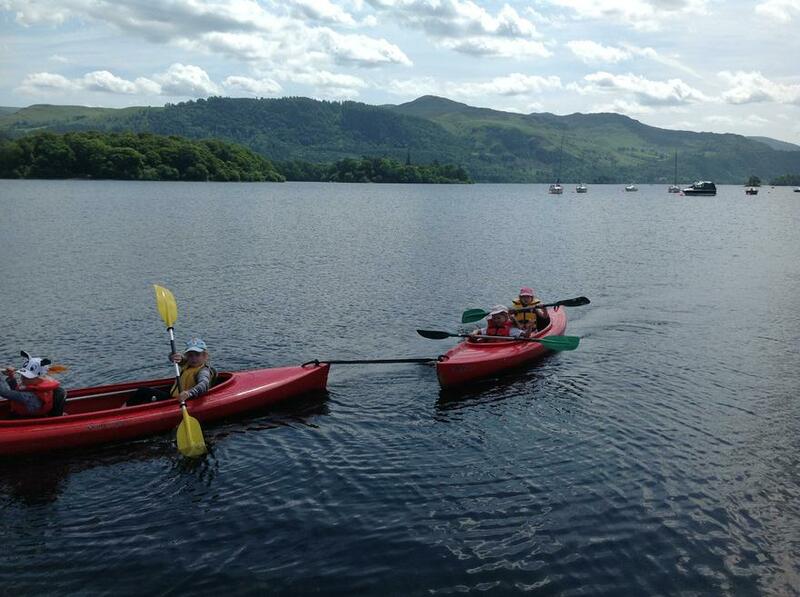 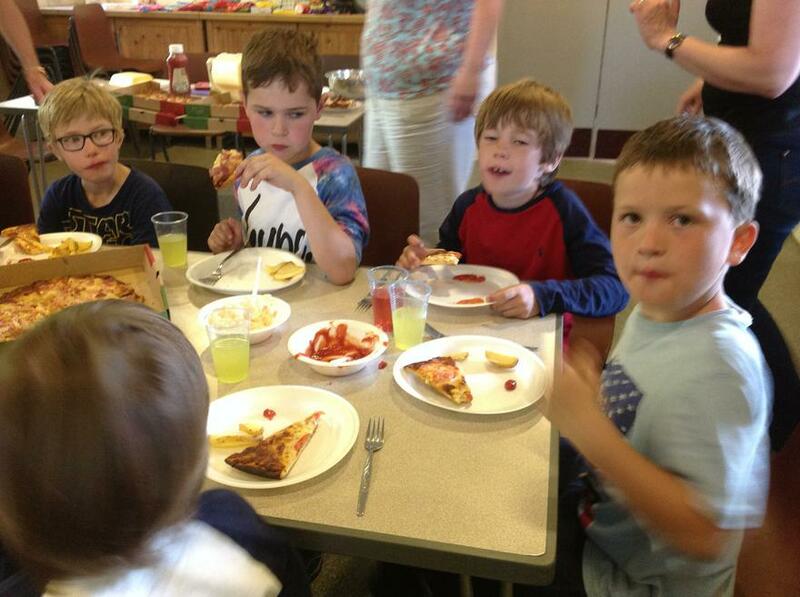 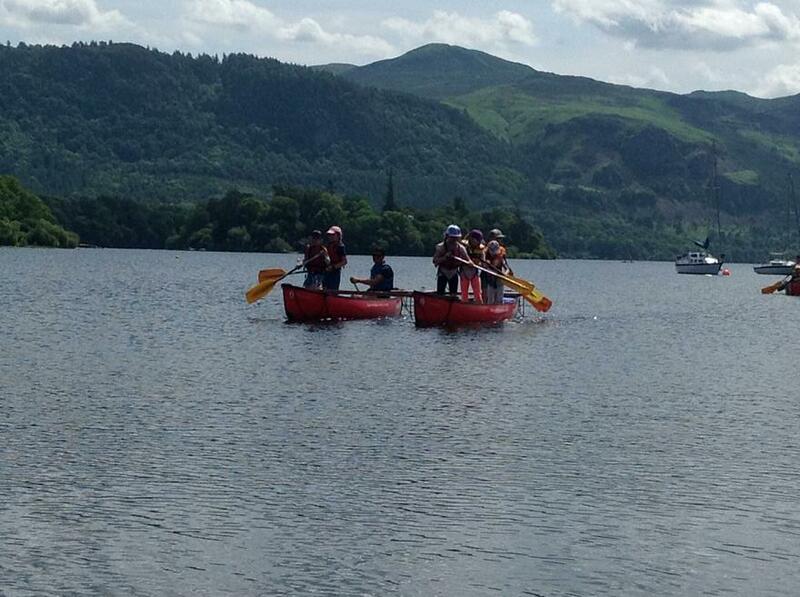 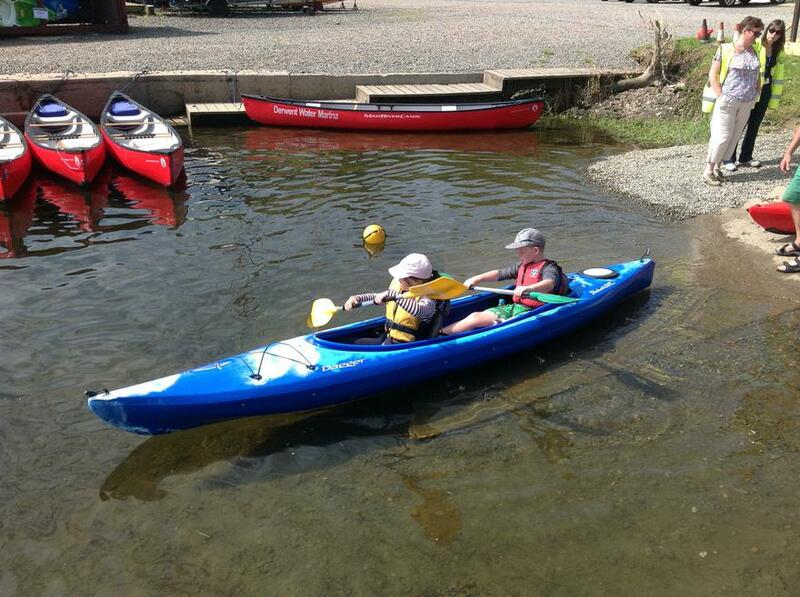 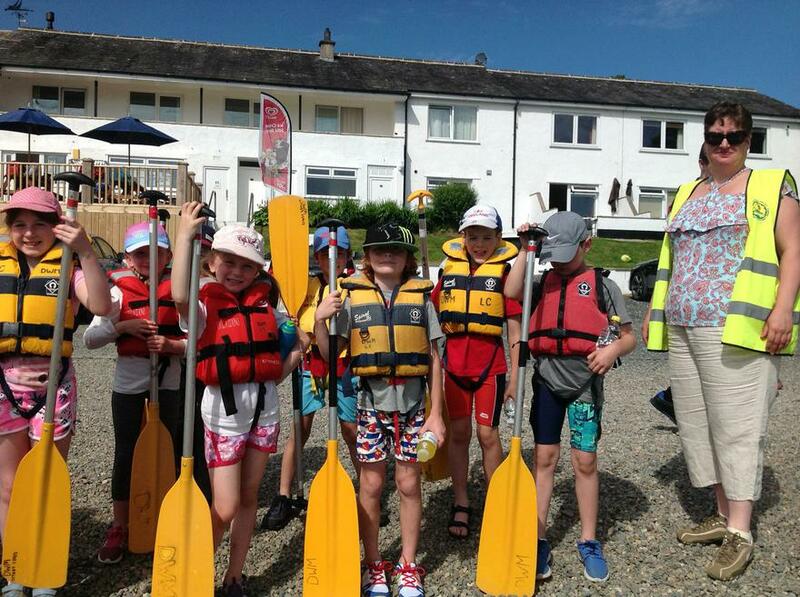 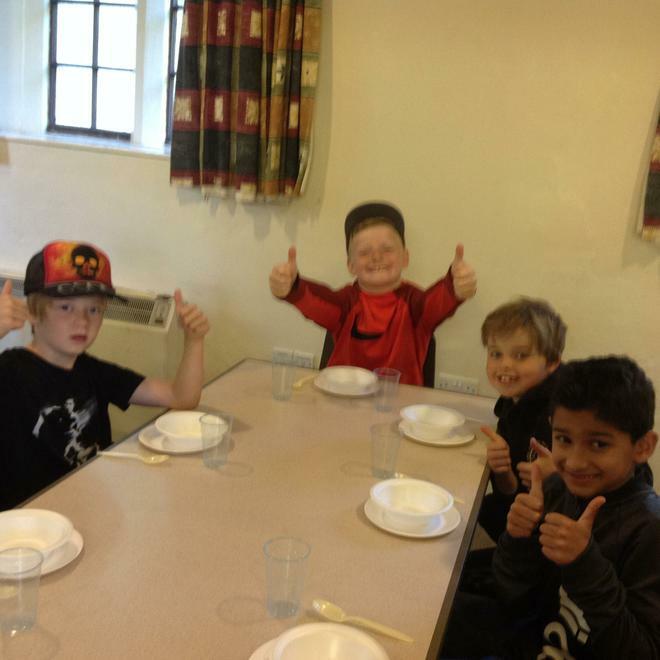 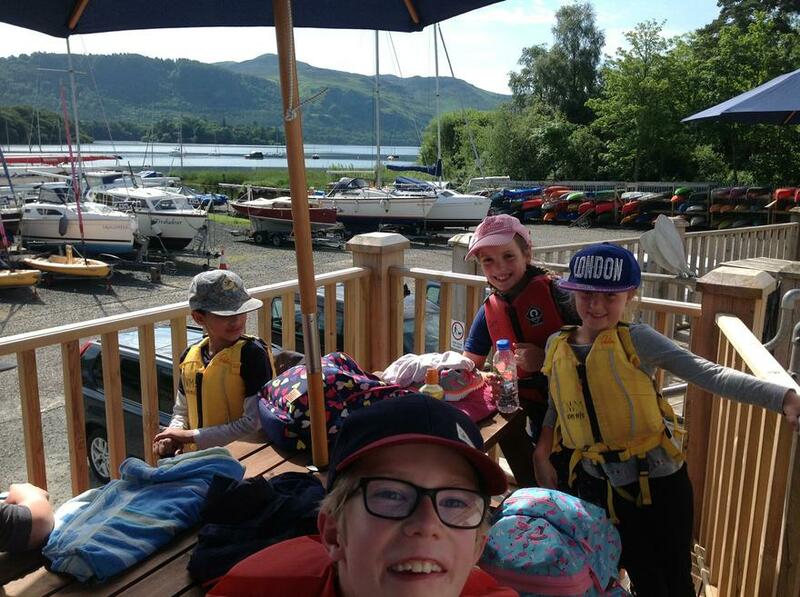 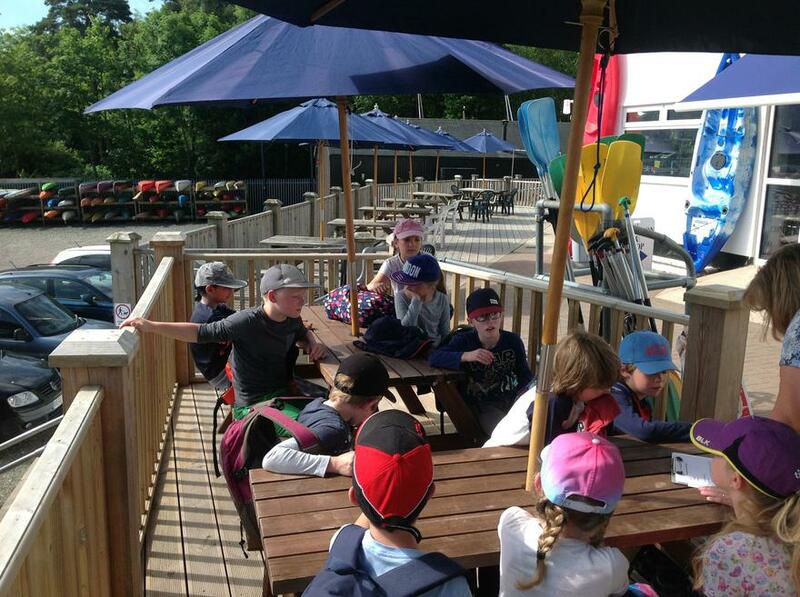 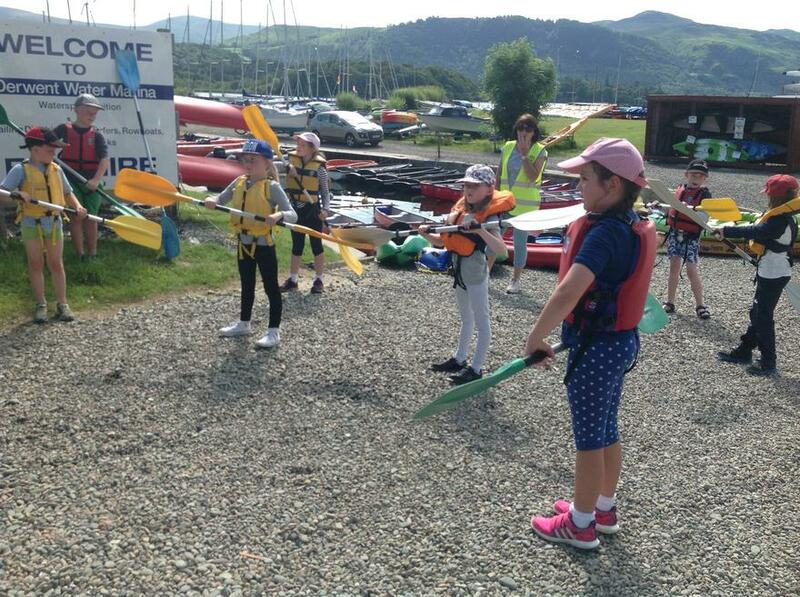 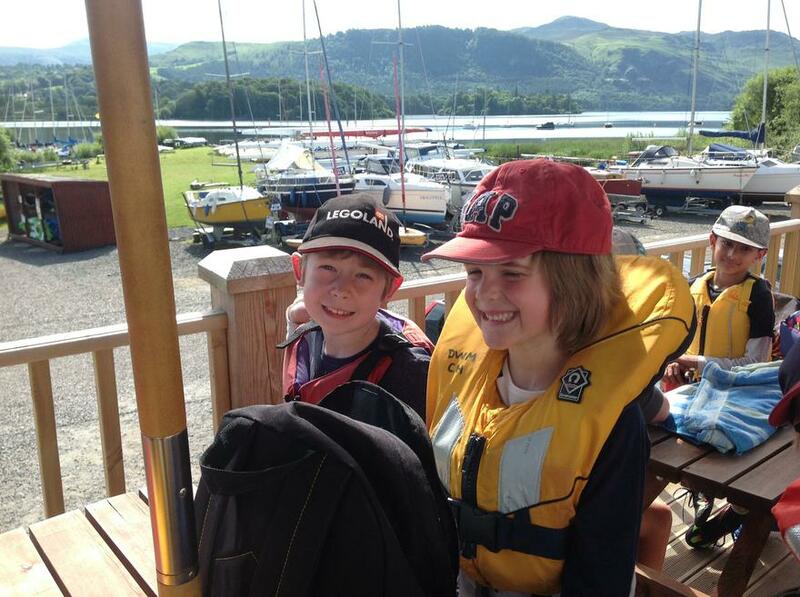 Year 3 had an amazing time kayaking and canoeing at Derwentwater Marina, they were amazing ambassadors for our school. 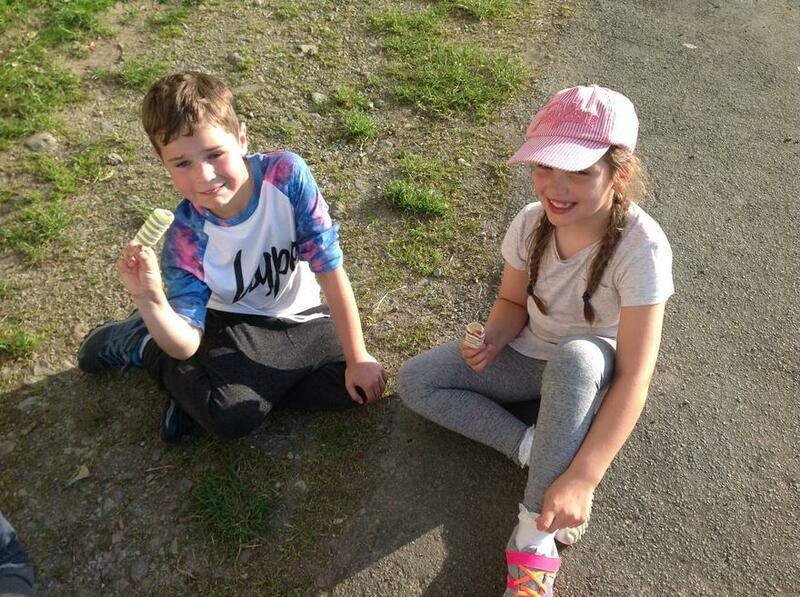 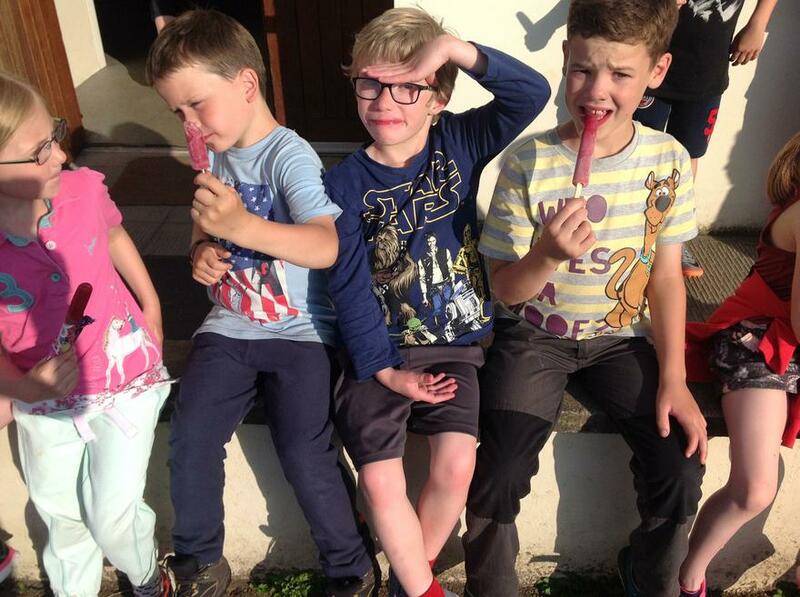 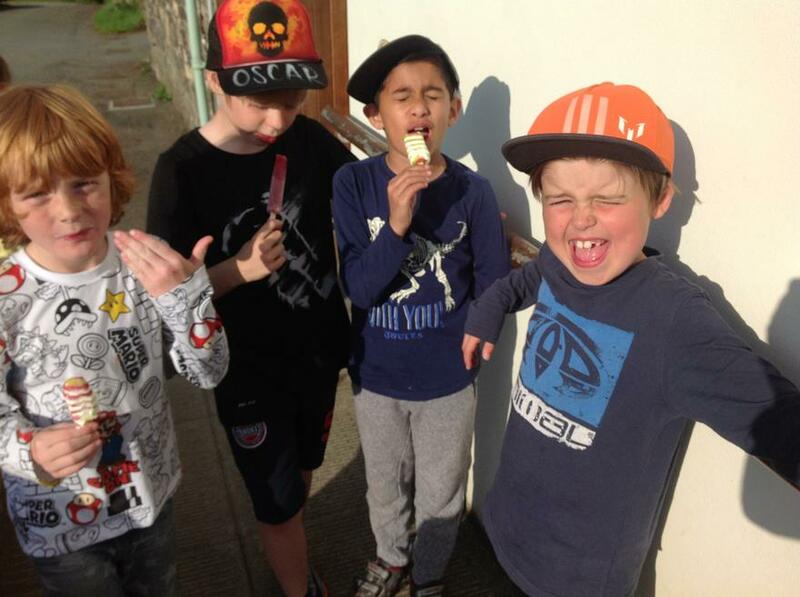 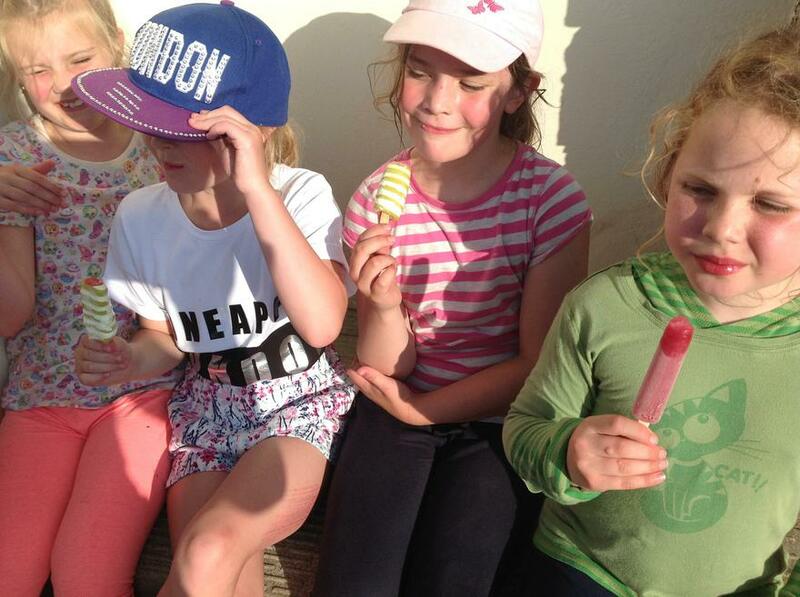 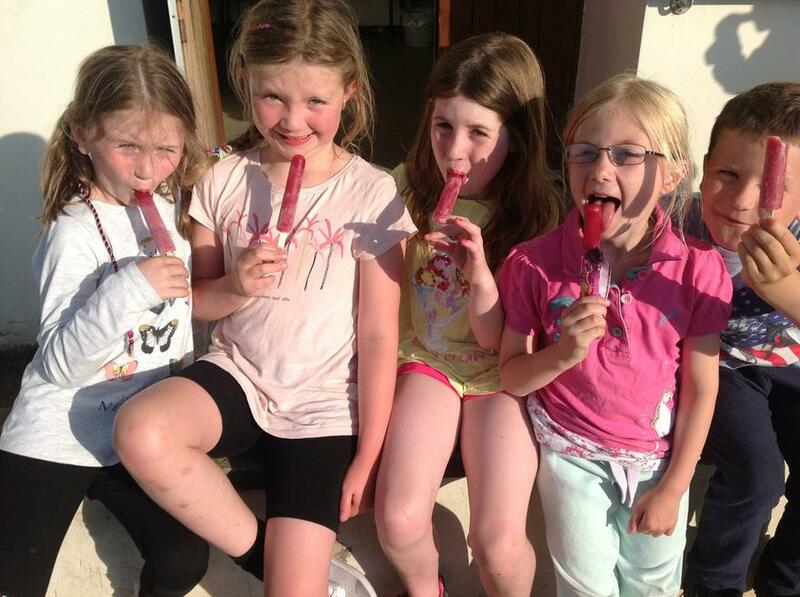 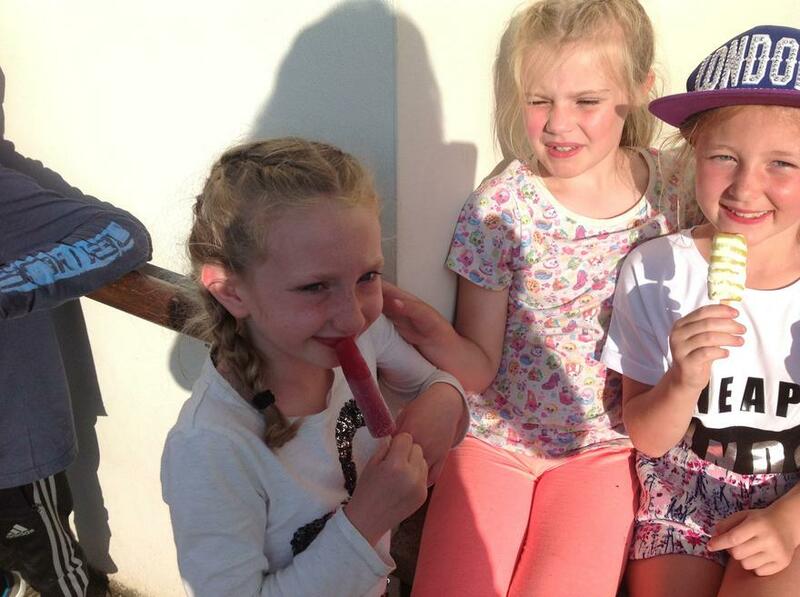 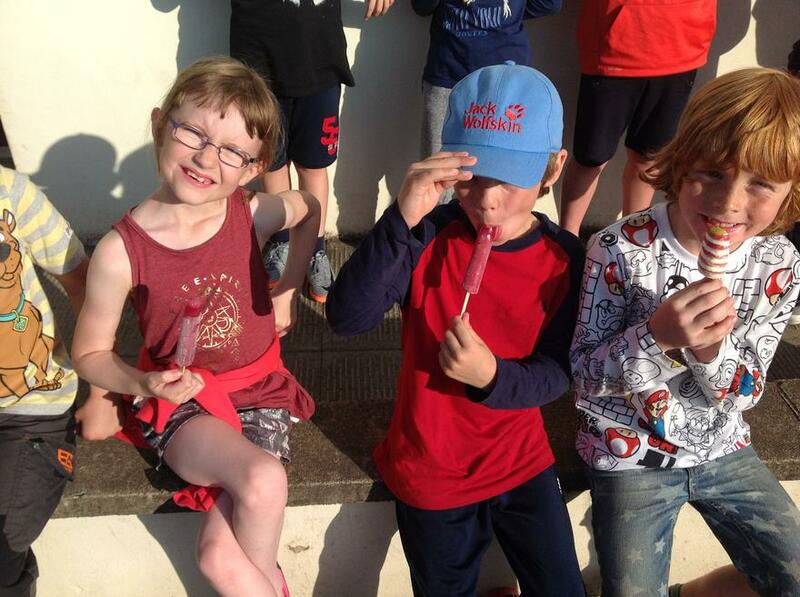 So much fun, lots of laughs and giggles and we were blessed with the weather. 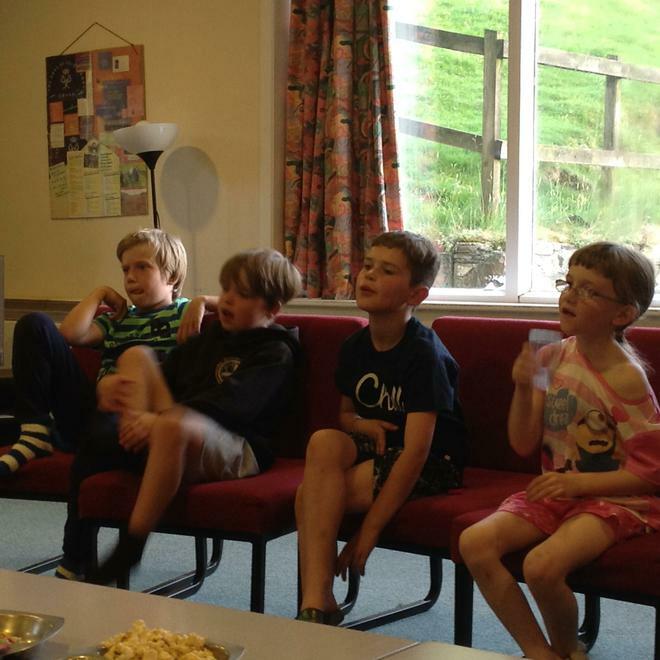 The afternoon was spent at King Kong Climbing wall - I was exhausted watching them! 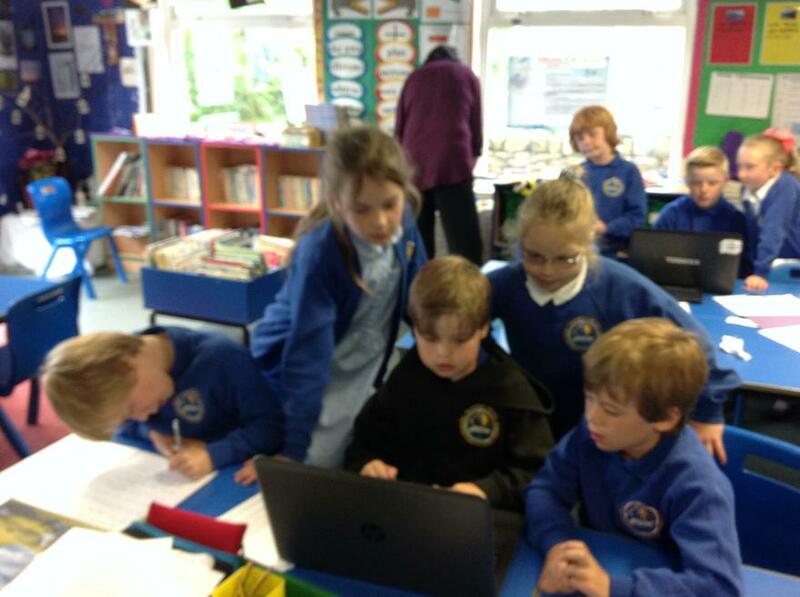 Year 3 are busily preparing for their election. 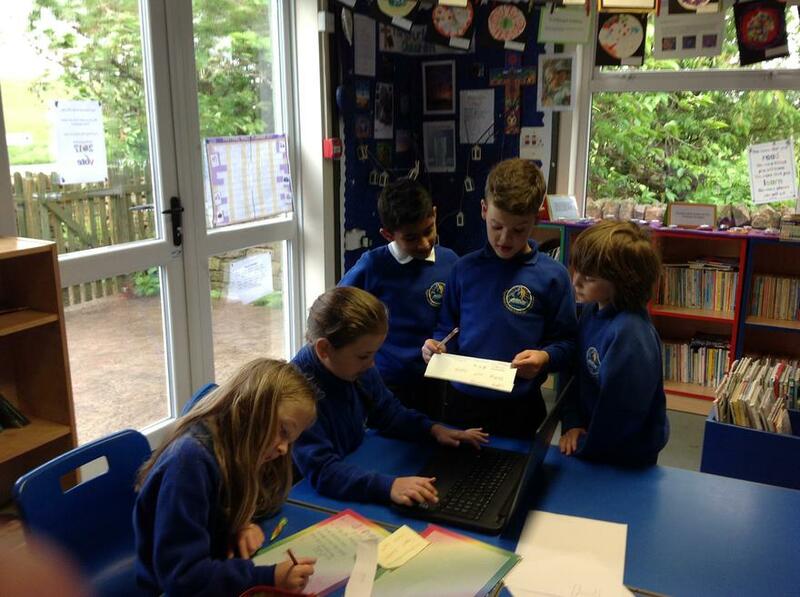 There are four parties: each party has a leader and a campaign manager and the parties are busy preparing their manifesto which needs to include ten things they would do to improve our school. 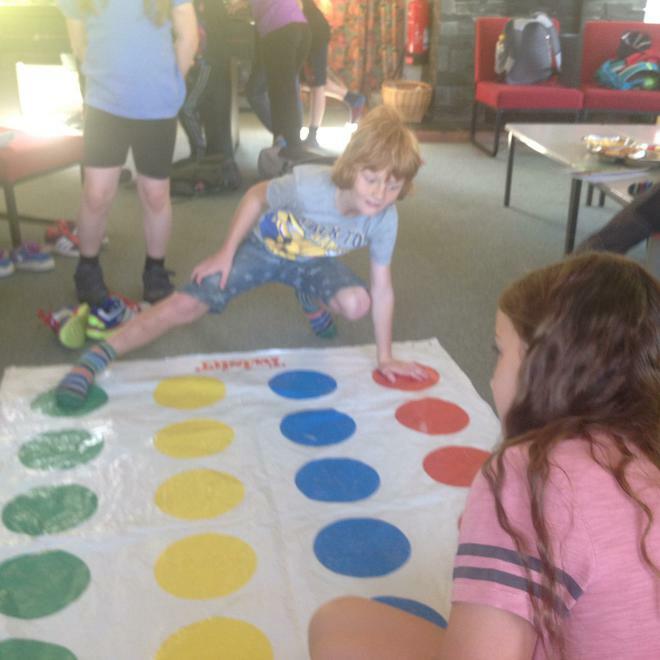 These ideas were based on their own suggestions and comments recently made on the pupil questionnaire sheet that was distributed to all pupils. 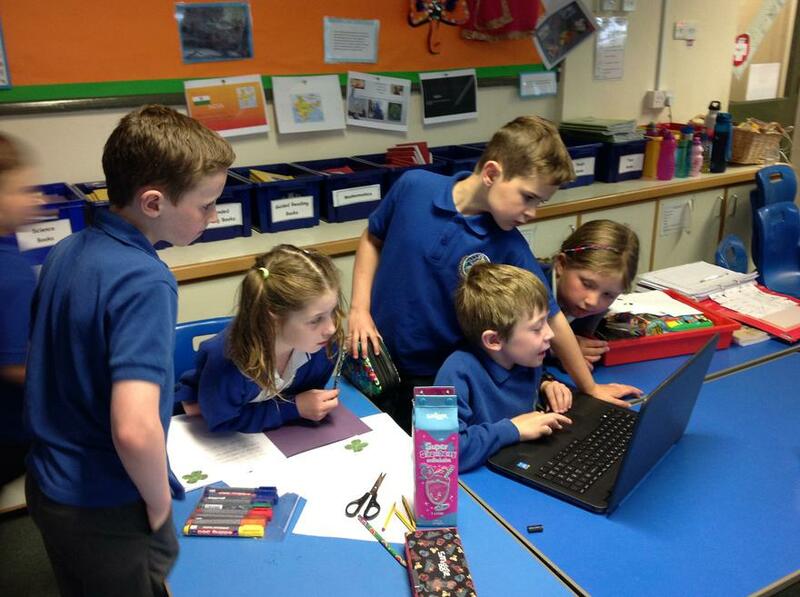 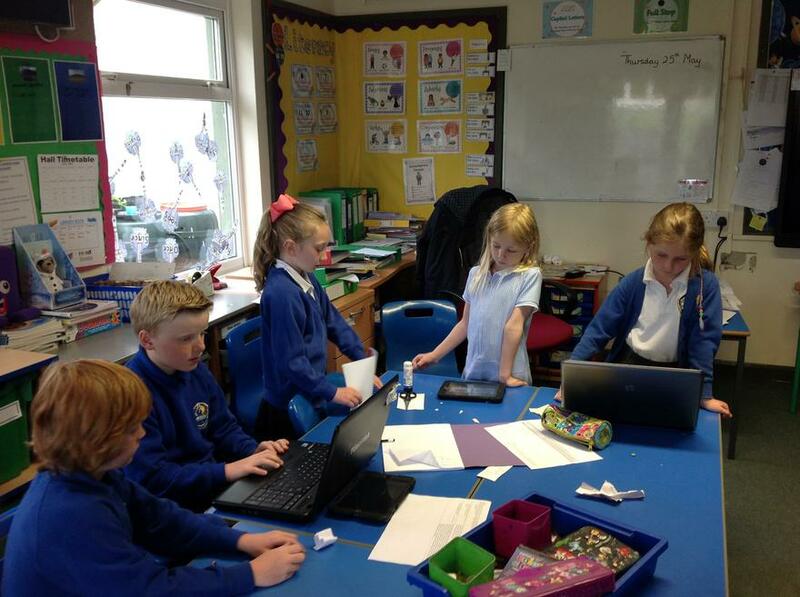 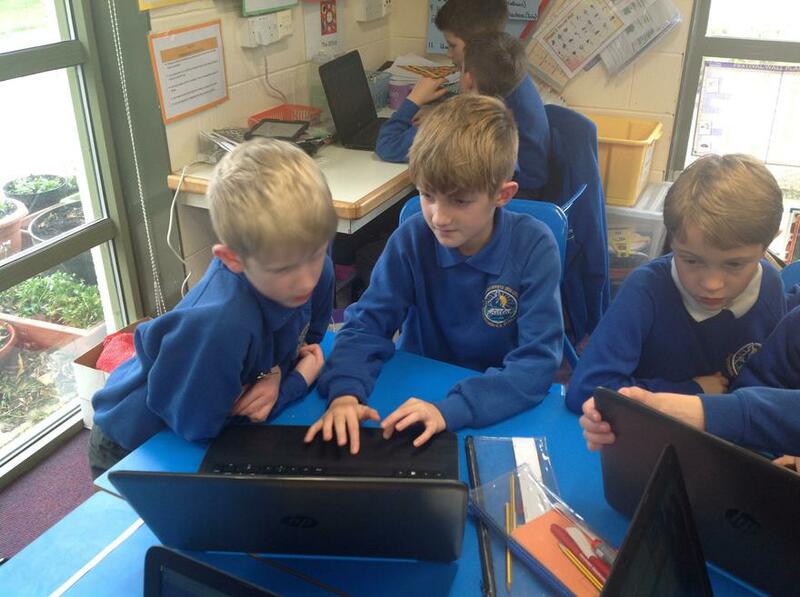 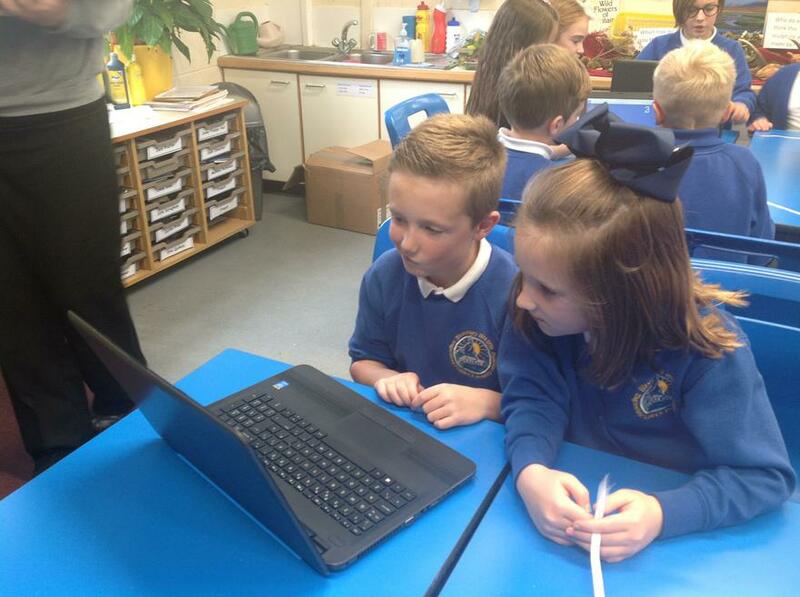 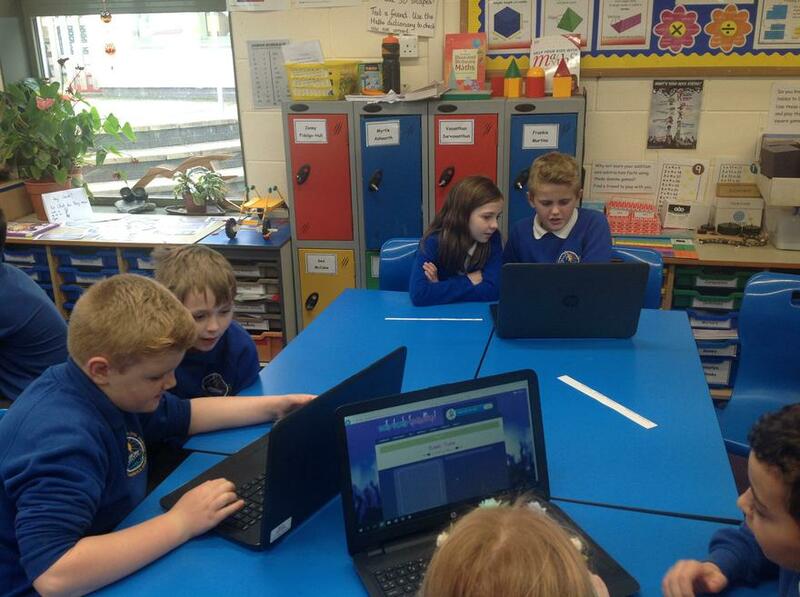 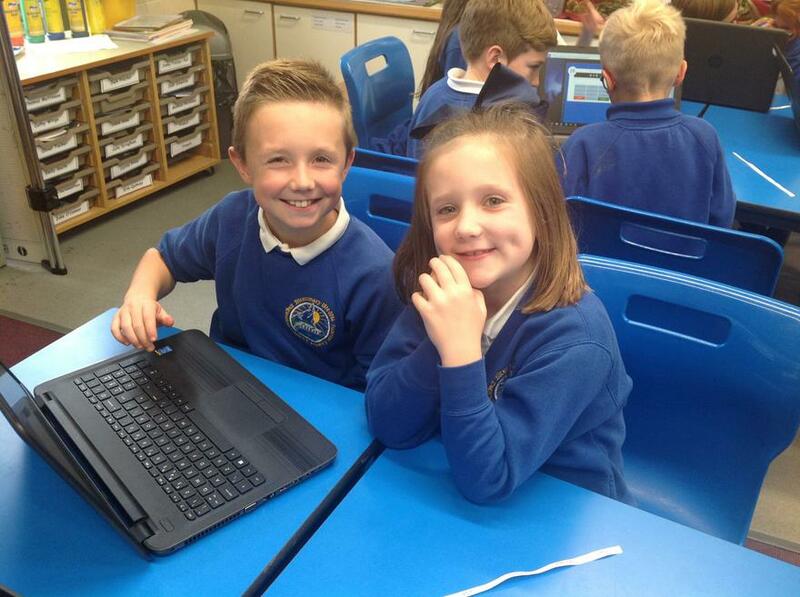 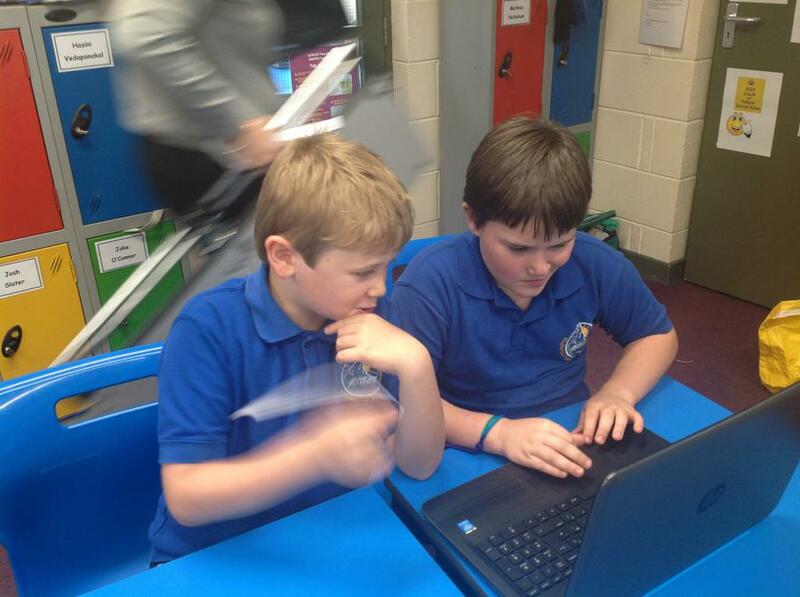 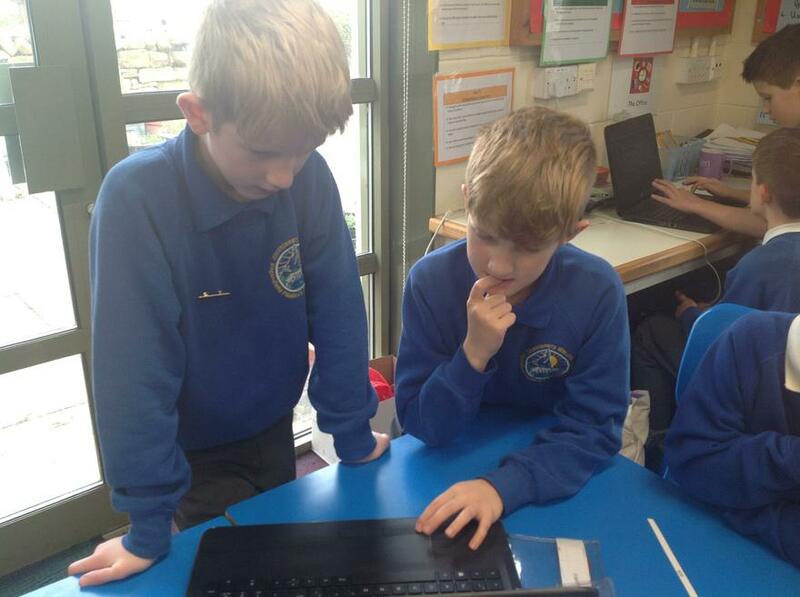 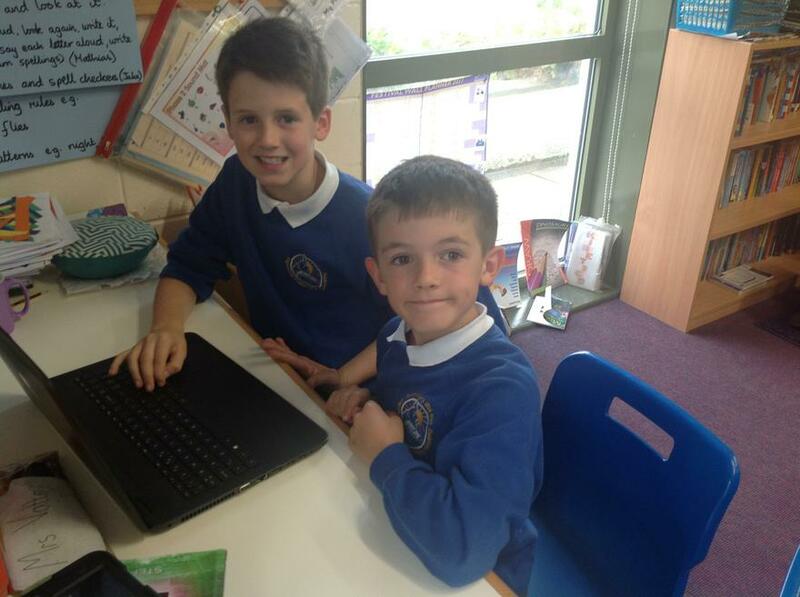 The children enthusiastically prepared Powerpoint presentations and speeches which they will deliver to the whole school on Friday to try and persuade undecided voters. 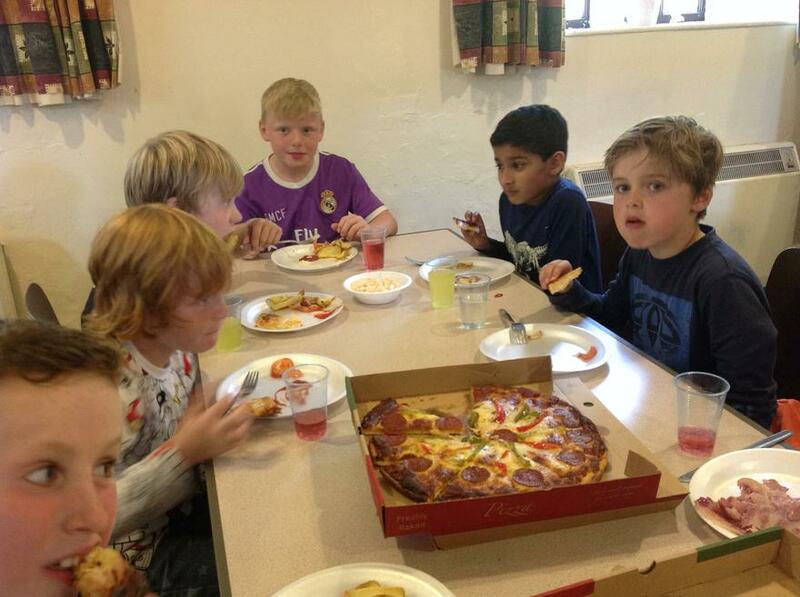 Which party would you like to see storm home to victory? 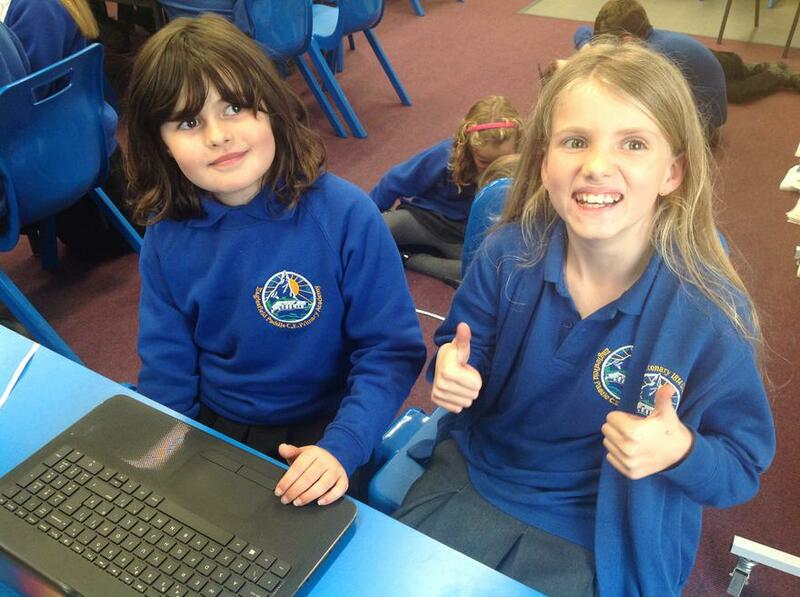 Who would you like to be the new Prime Minister in Year 3? 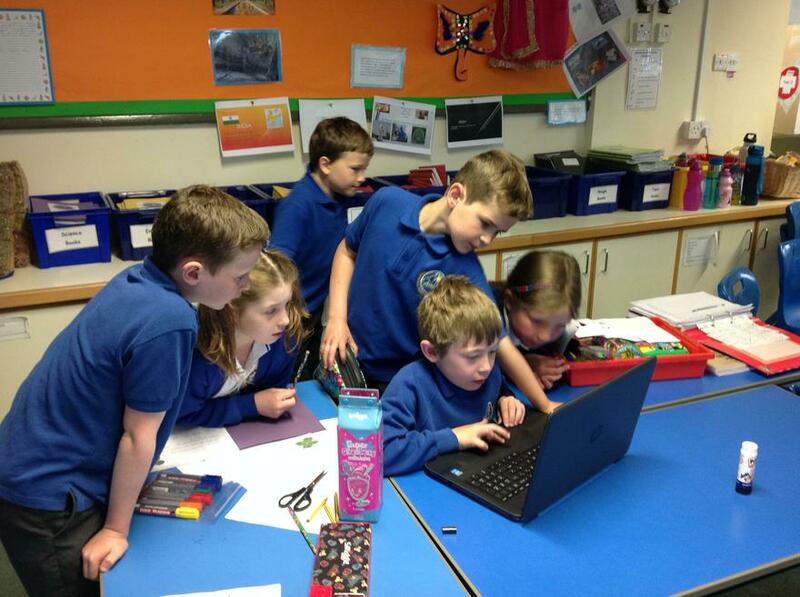 This has allowed Year 3 the chance to see democracy at work, freedom of speech and bring to life the importance of our British values. 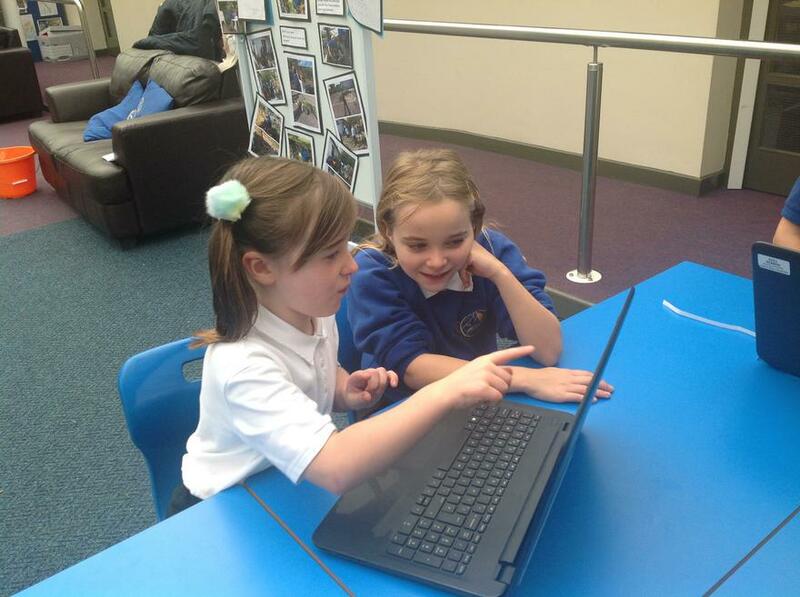 The local press will be covering the event. 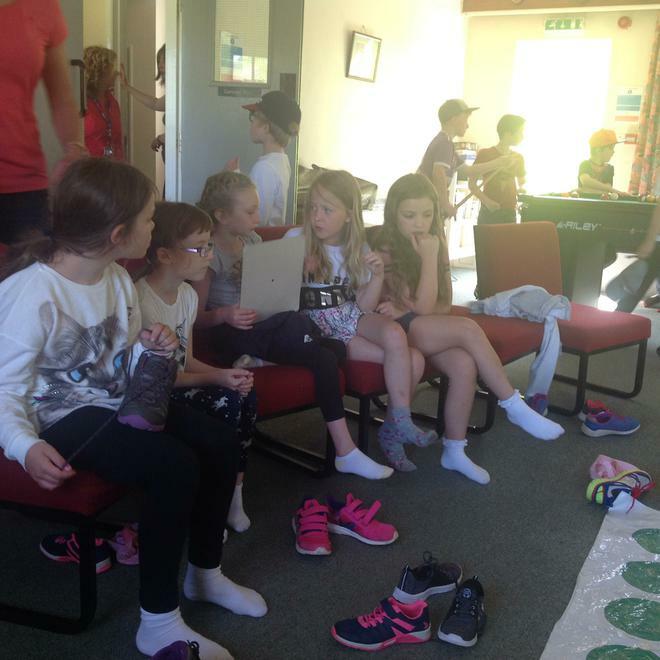 Year 3 elections - who will be the next Prime Minister?